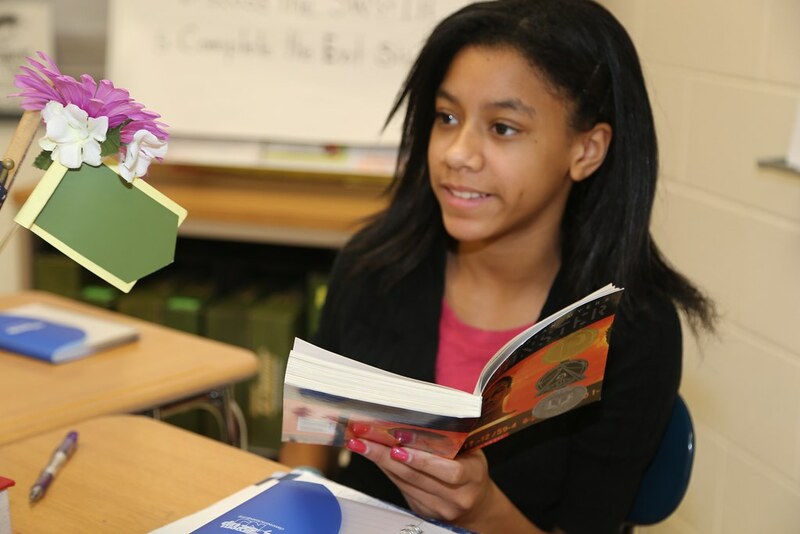 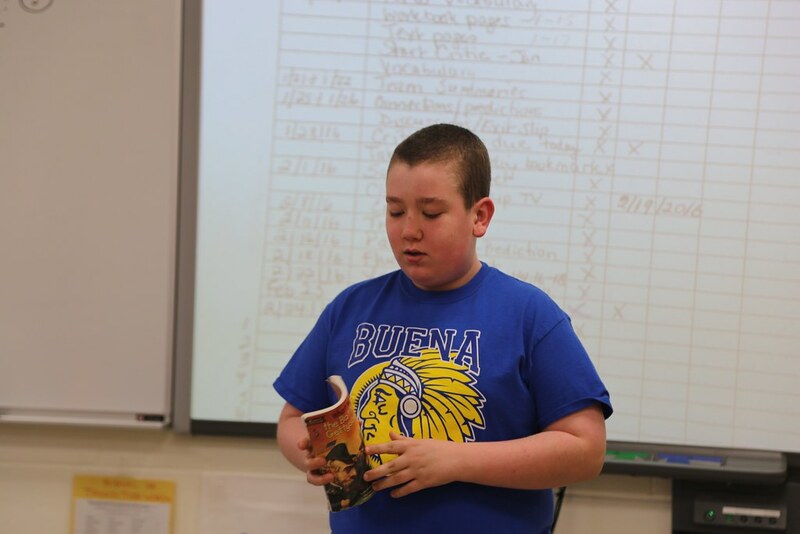 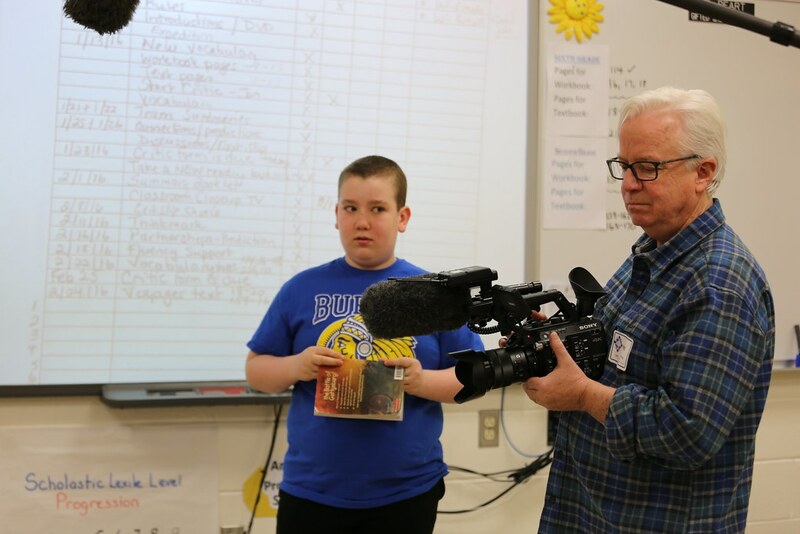 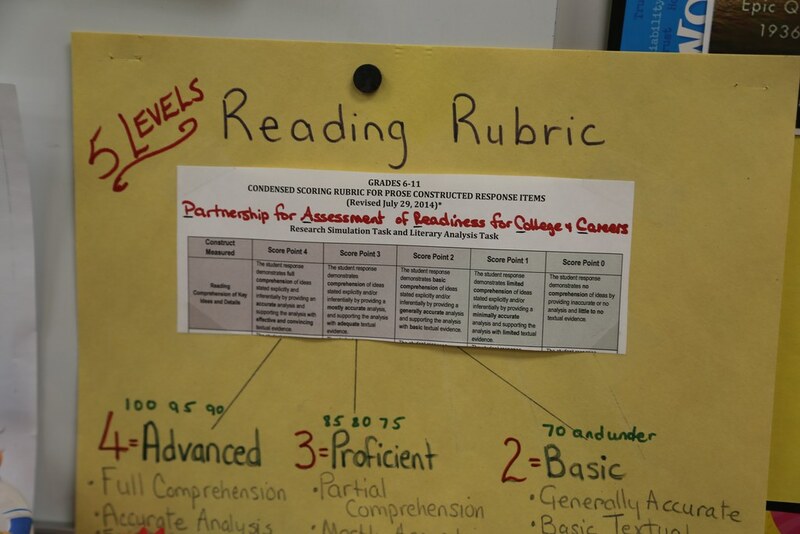 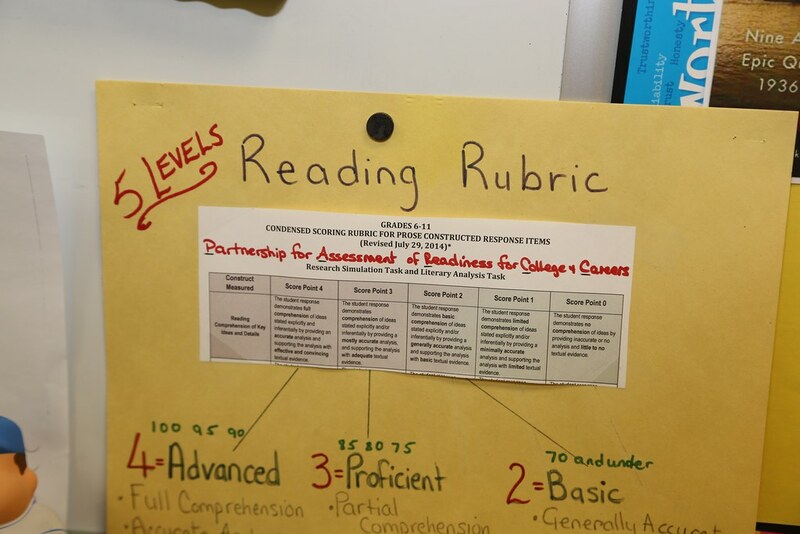 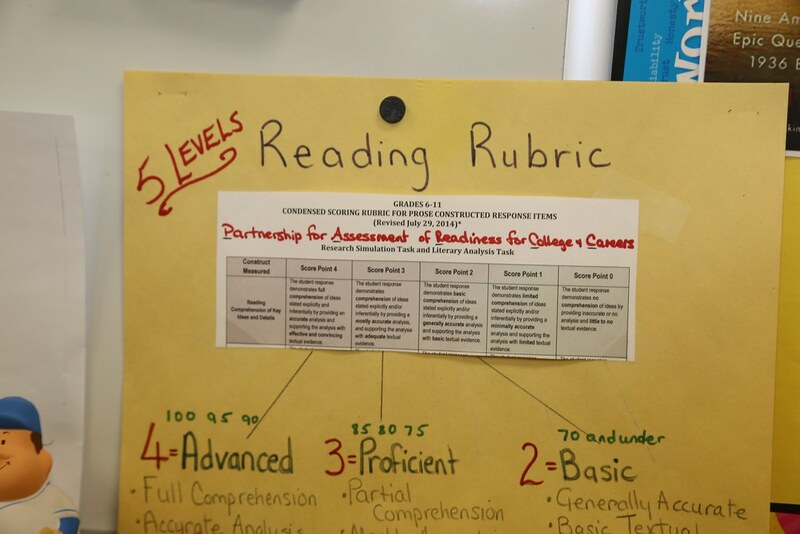 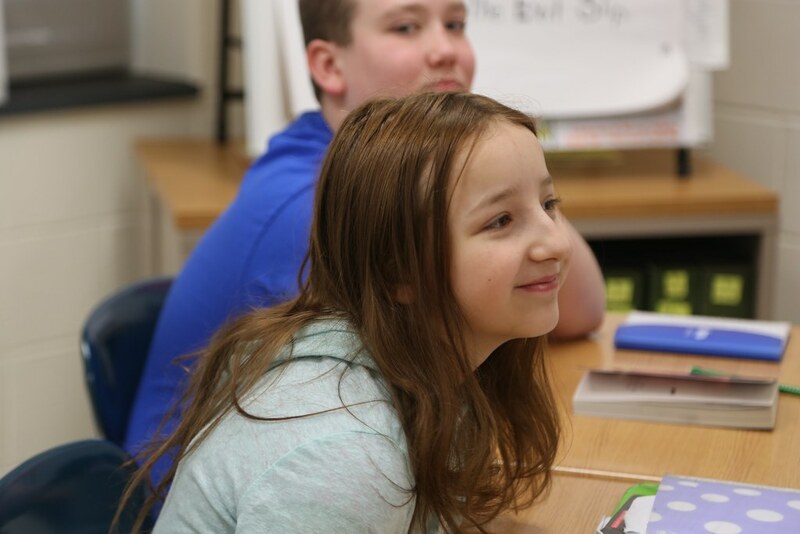 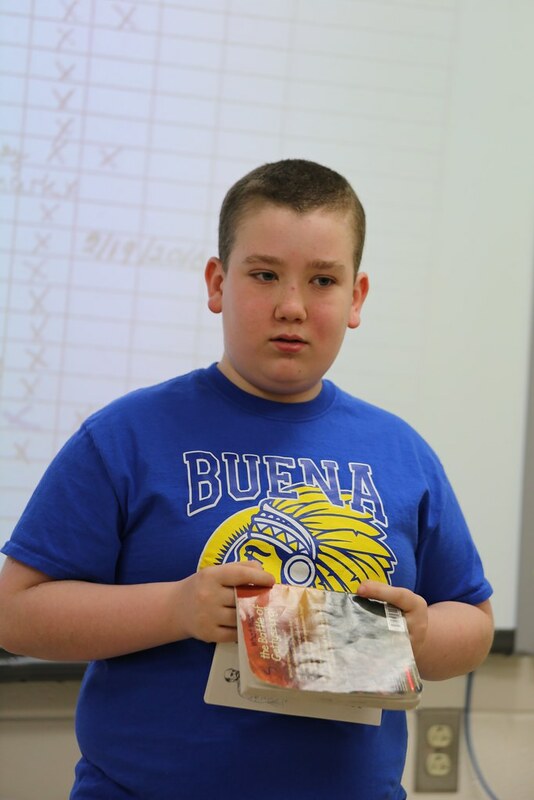 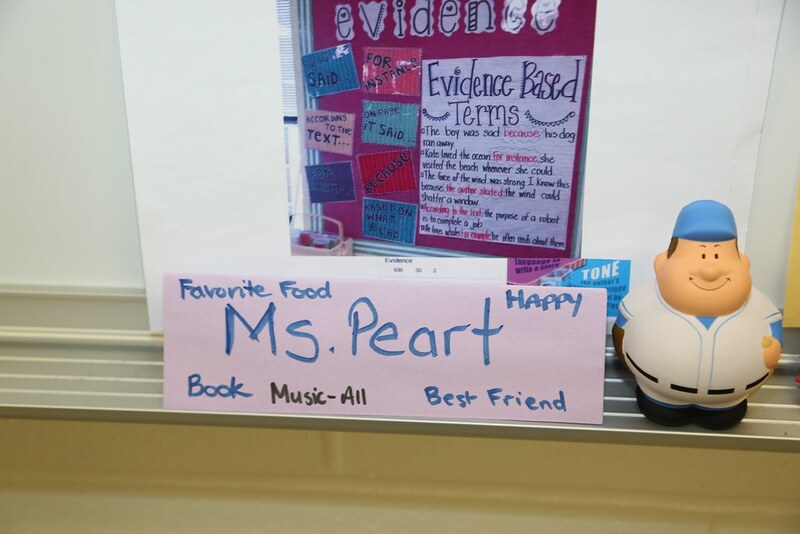 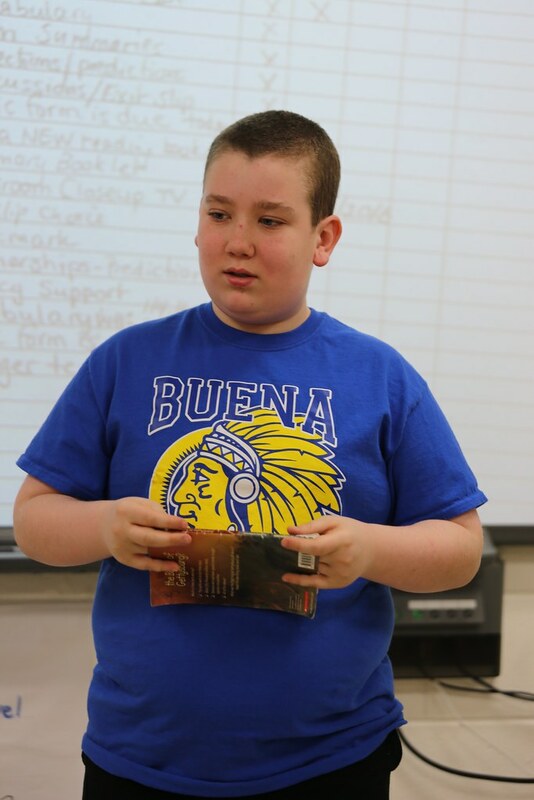 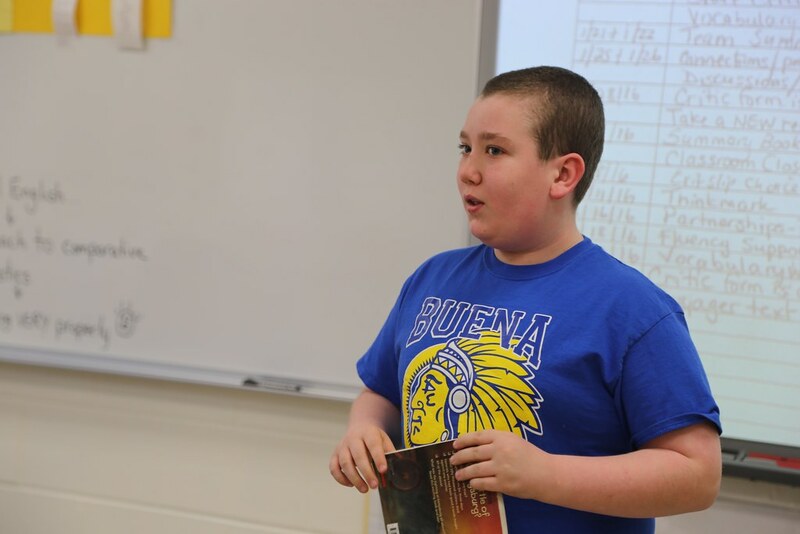 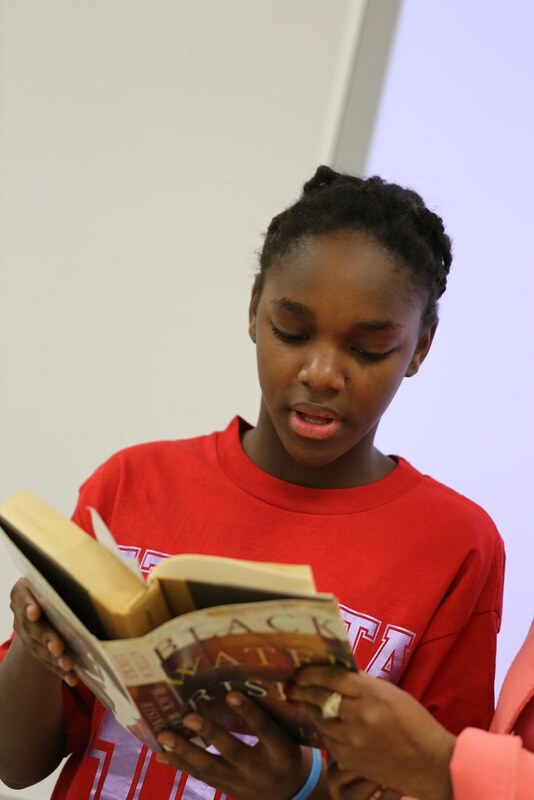 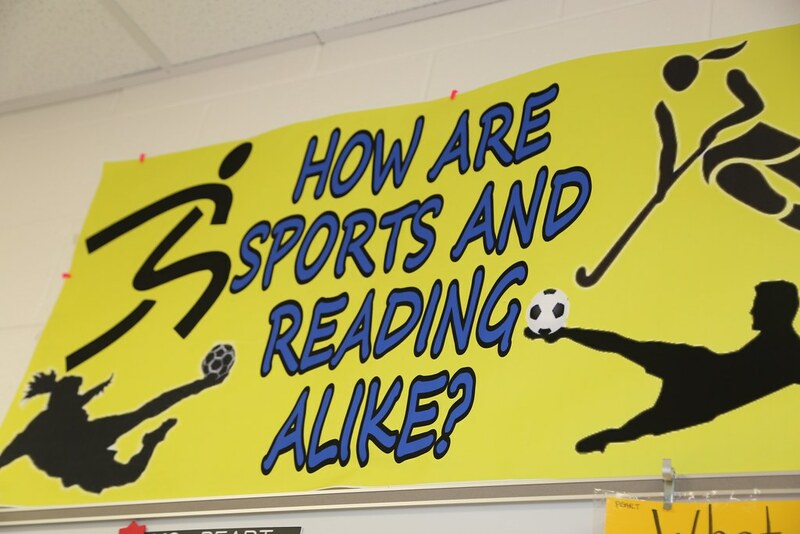 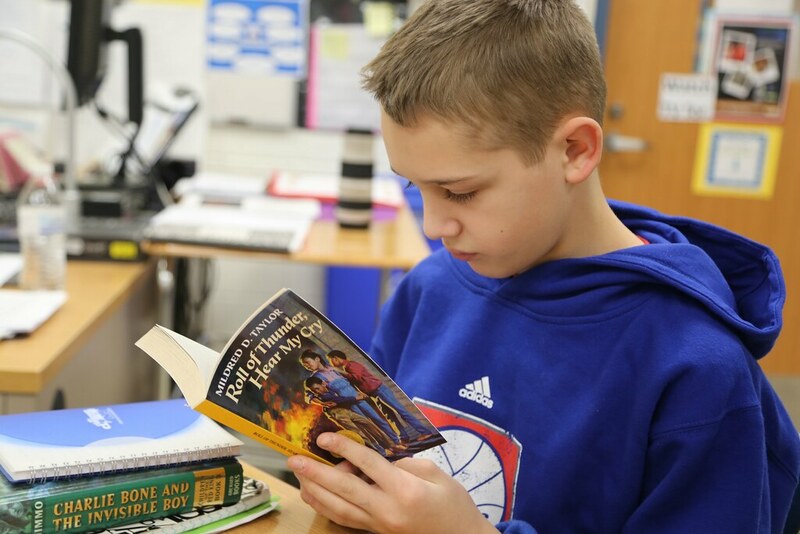 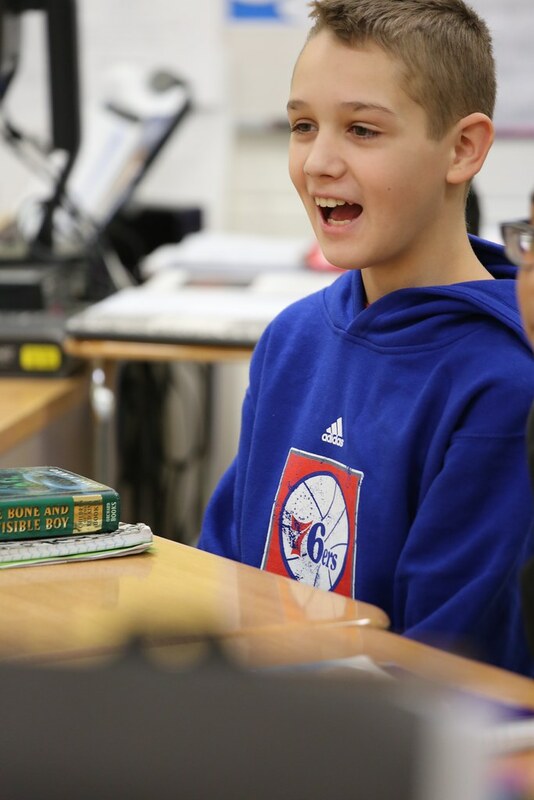 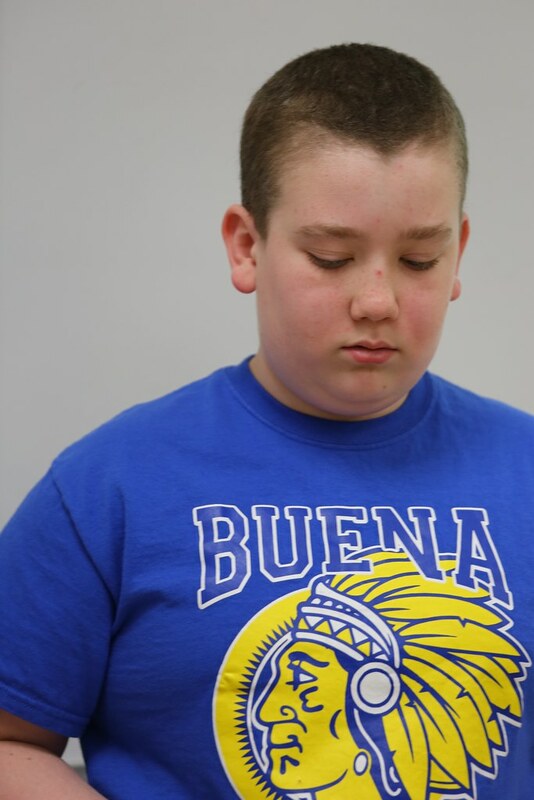 Reading Recognition - Reading scores are soaring at Buena Regional Middle School thanks to a Reading Recognition Program. 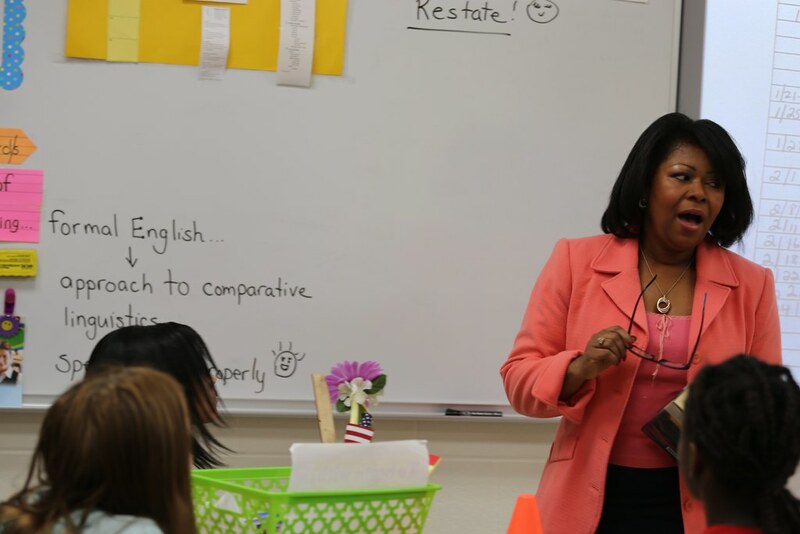 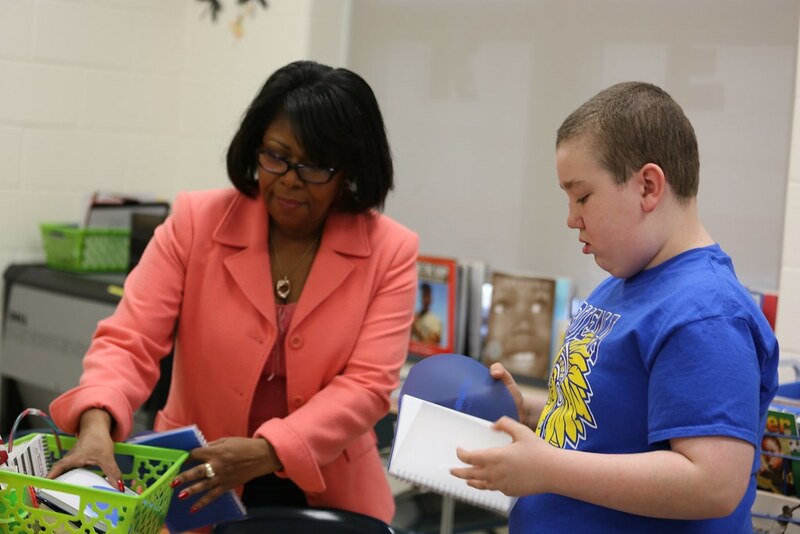 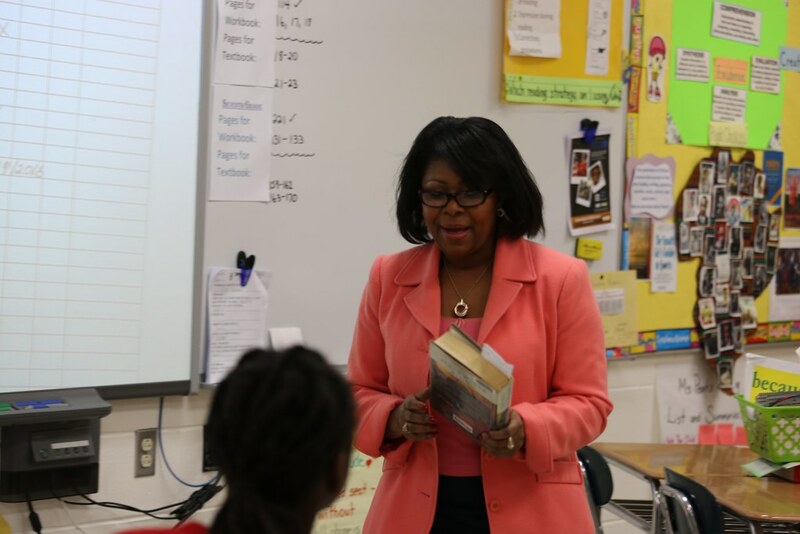 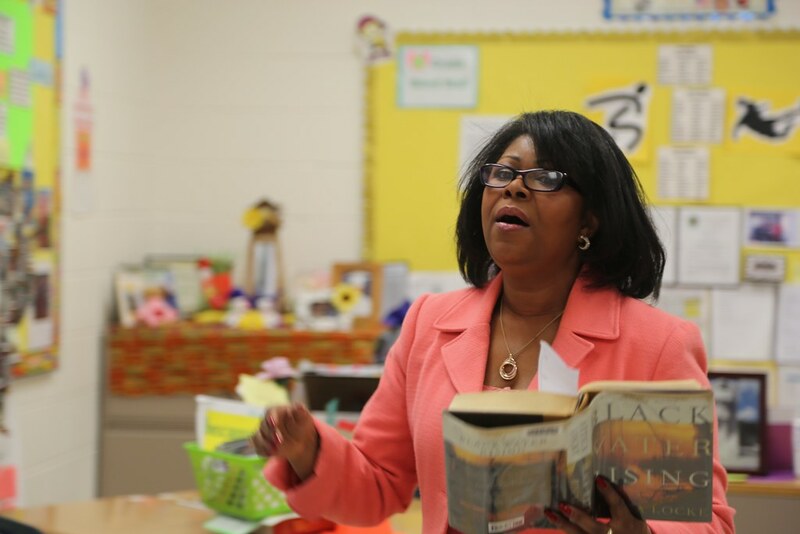 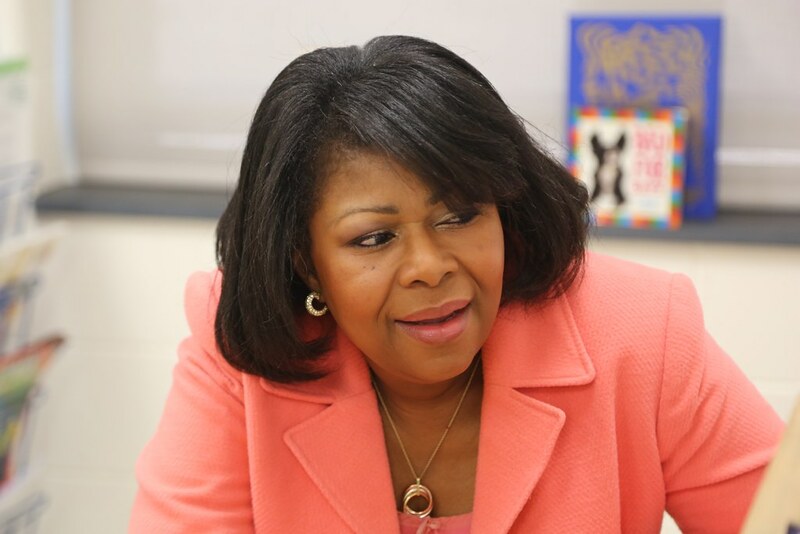 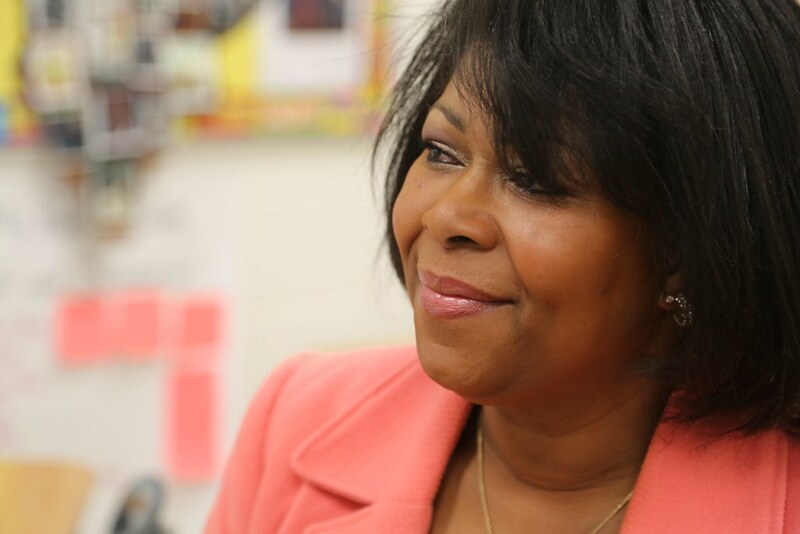 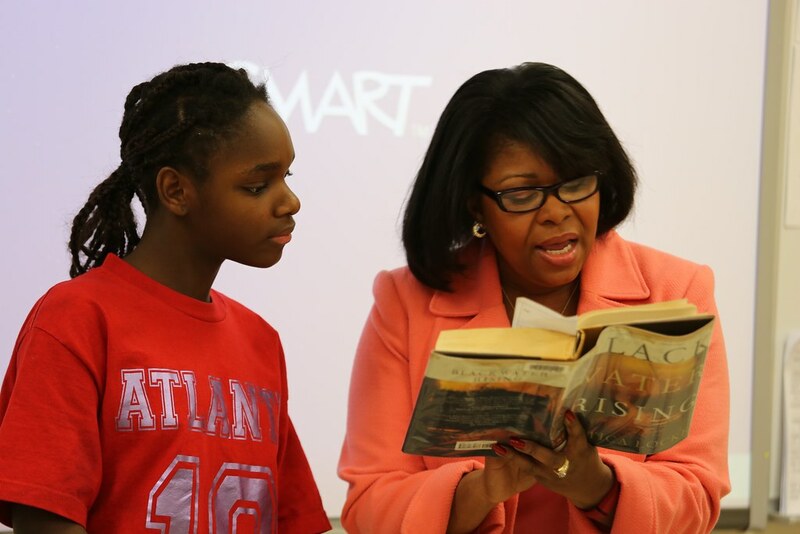 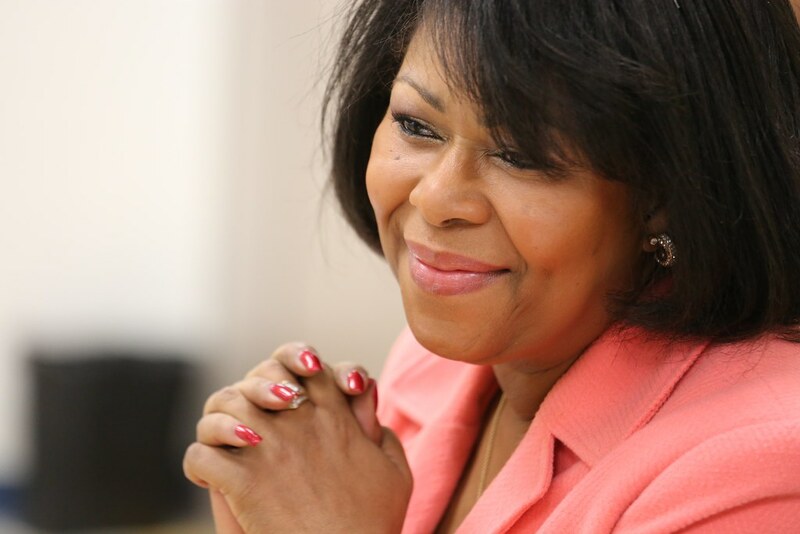 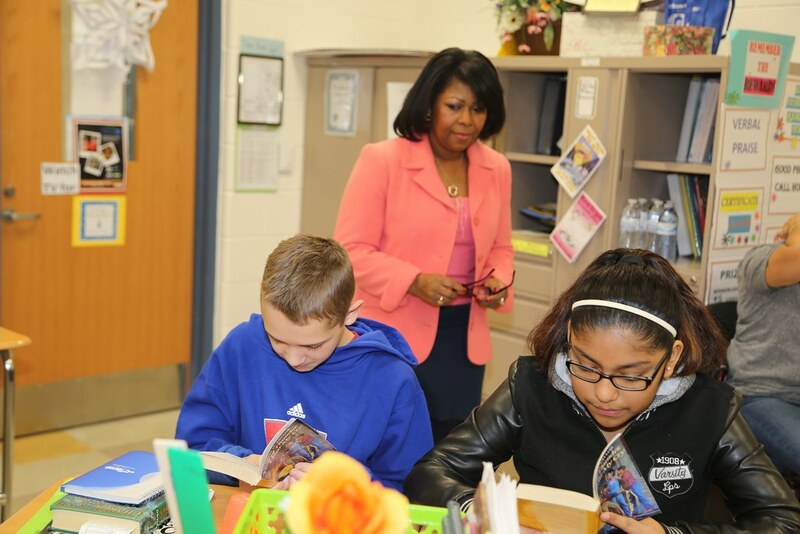 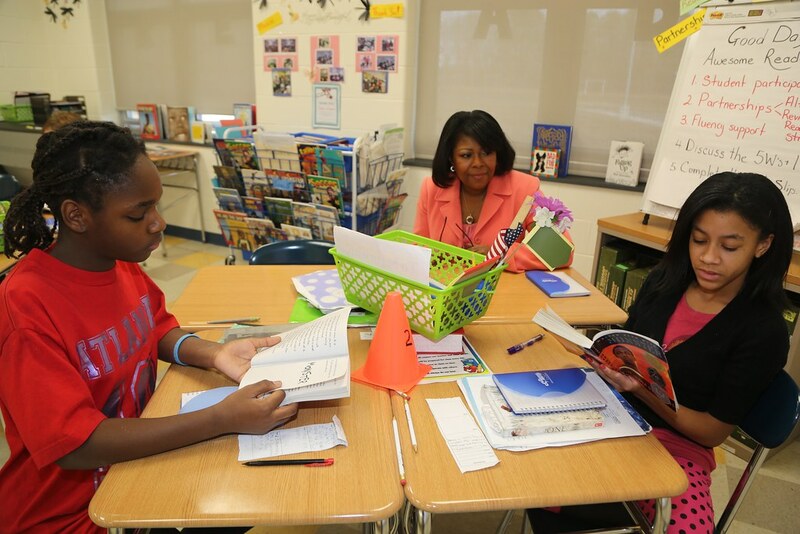 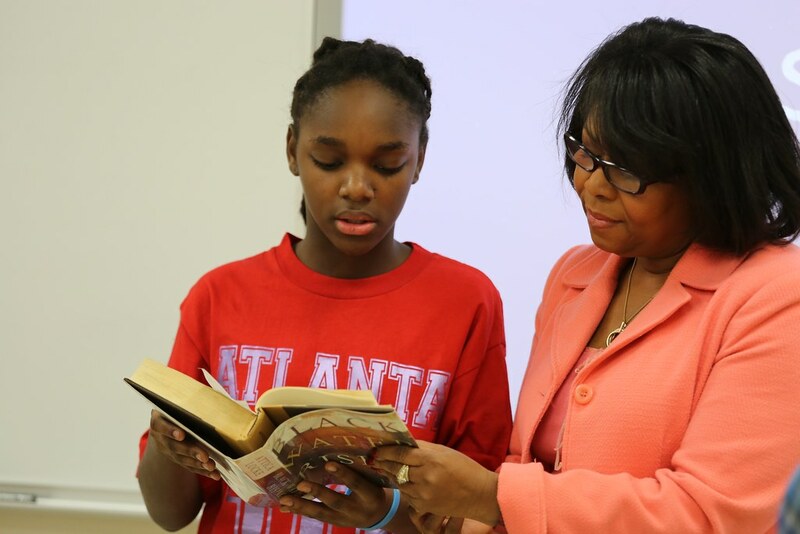 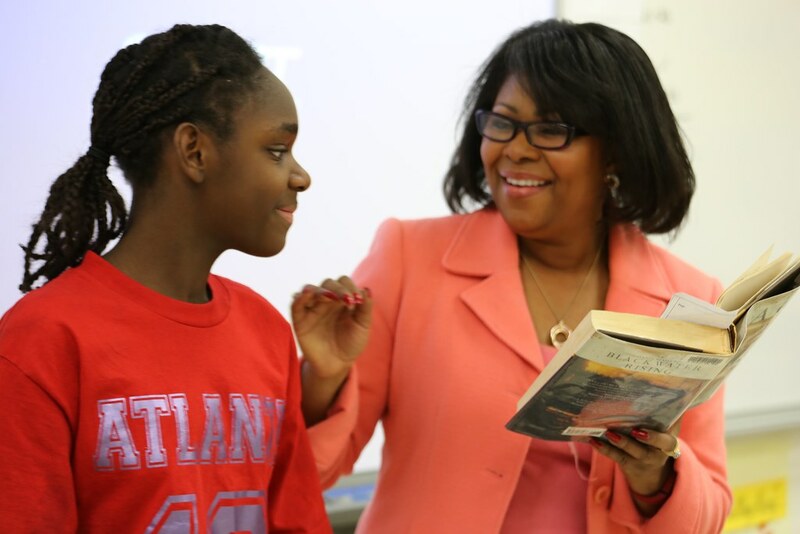 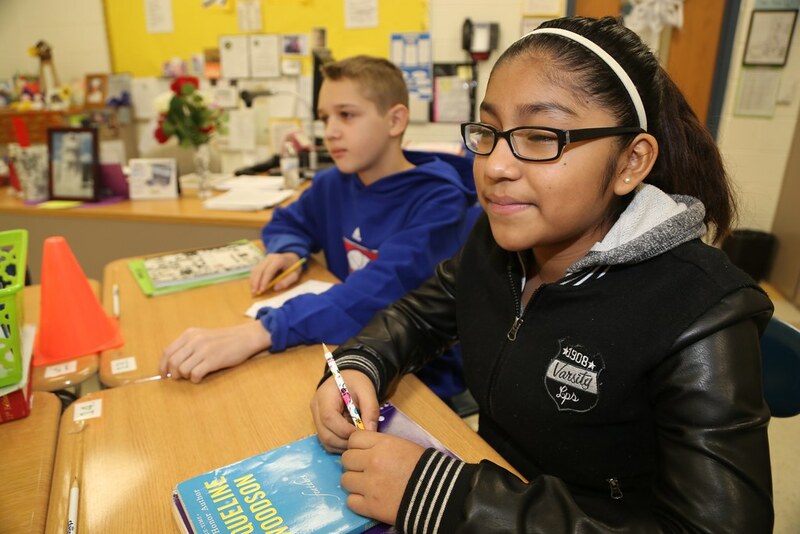 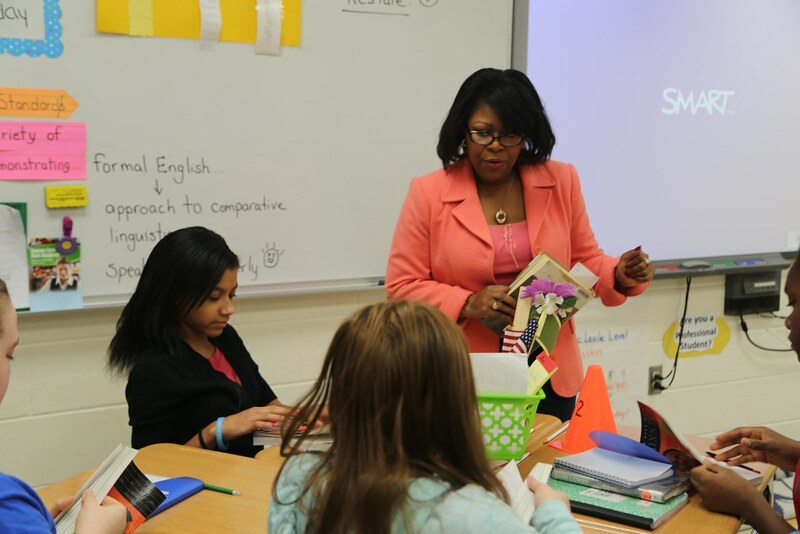 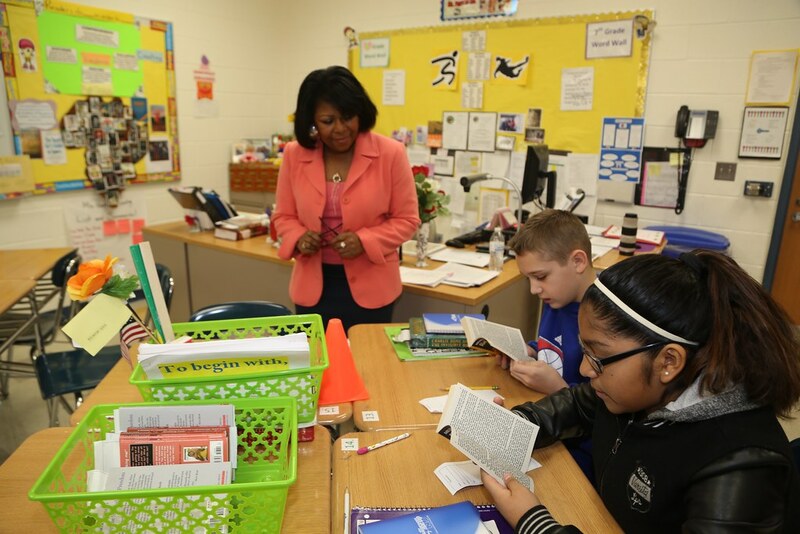 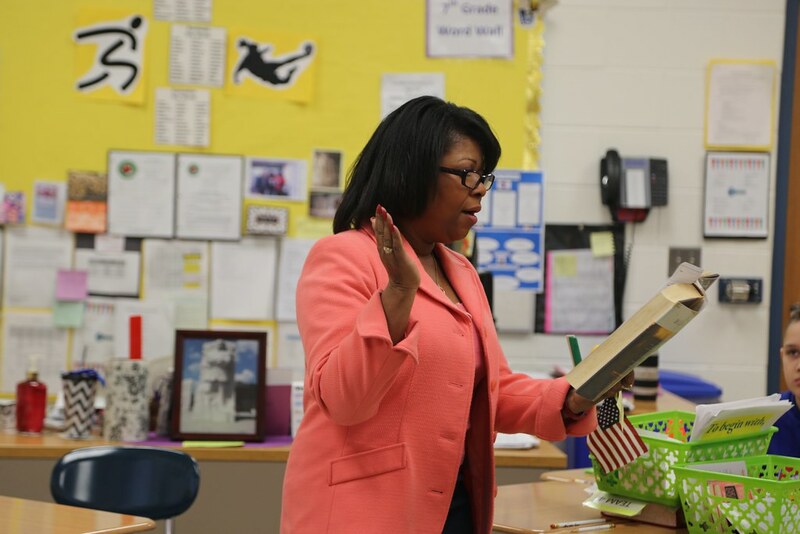 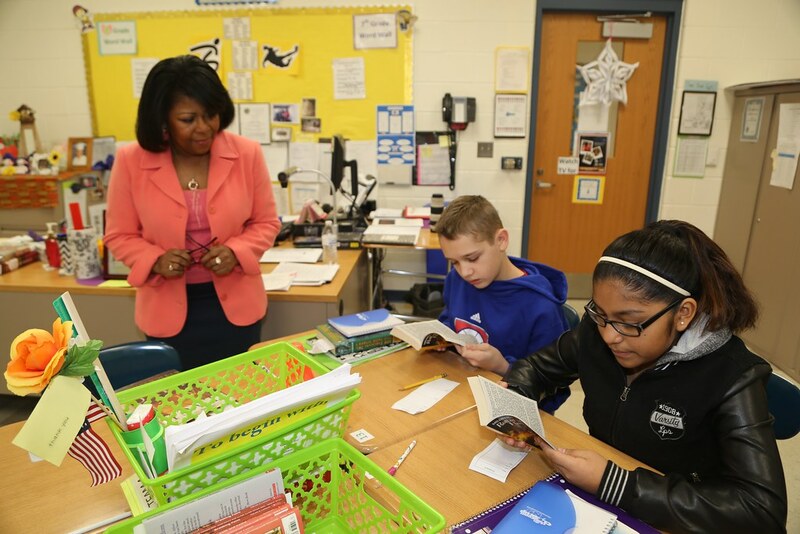 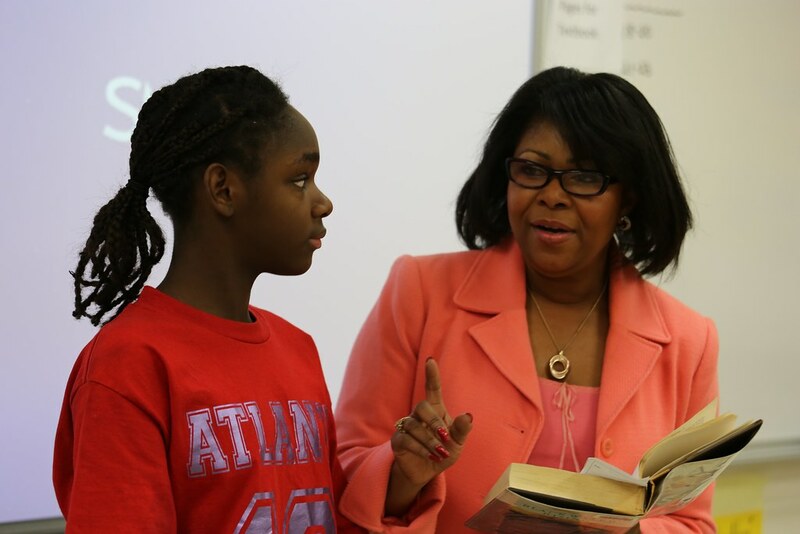 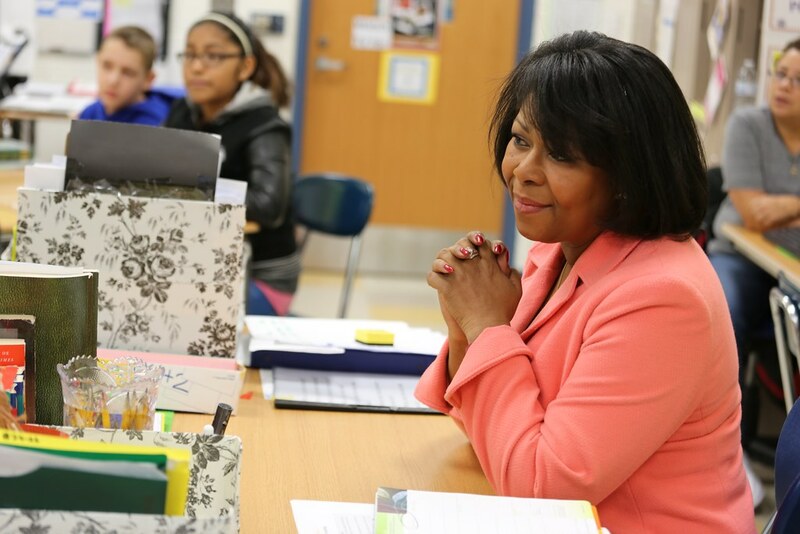 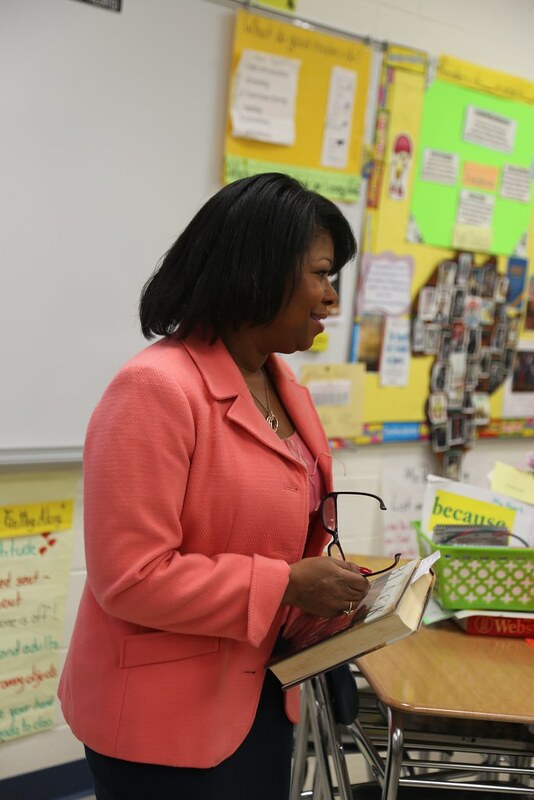 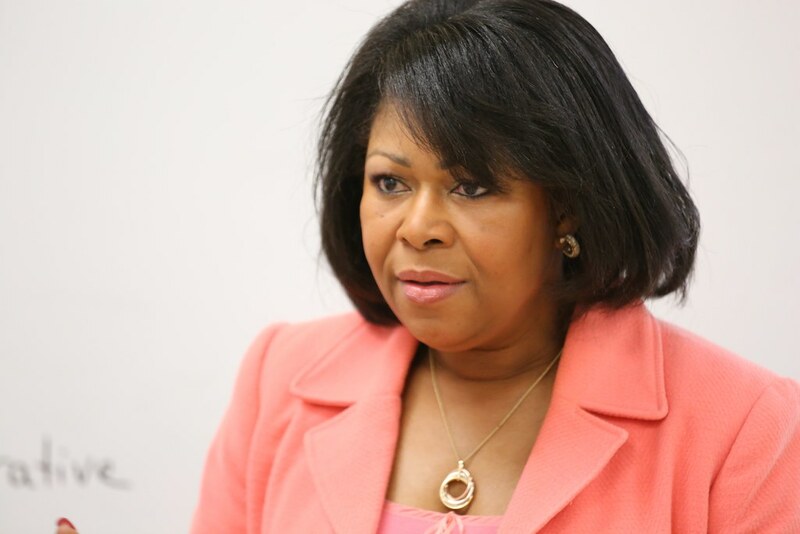 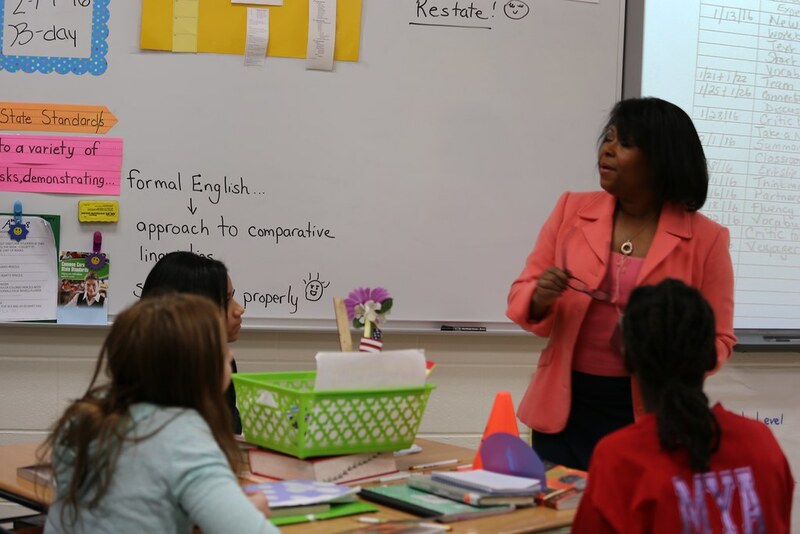 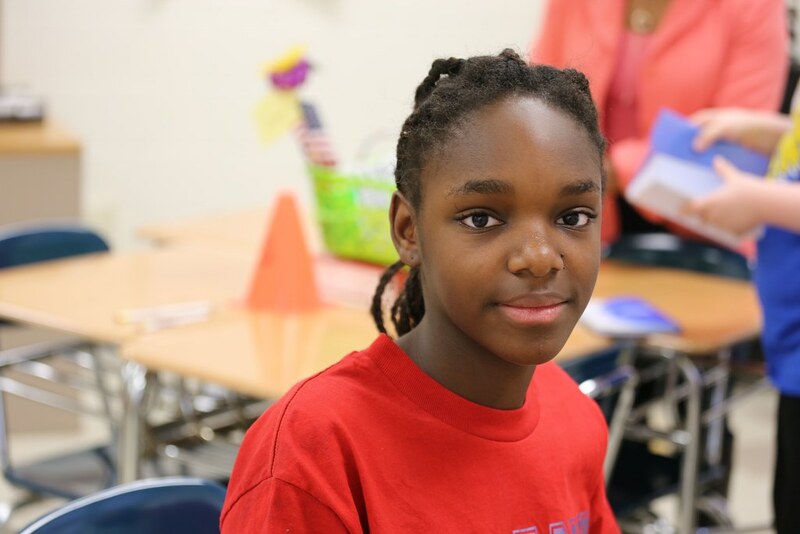 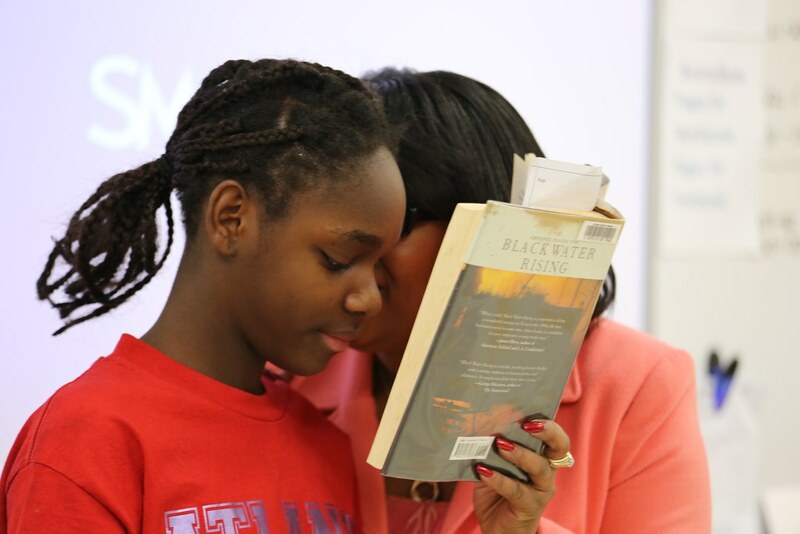 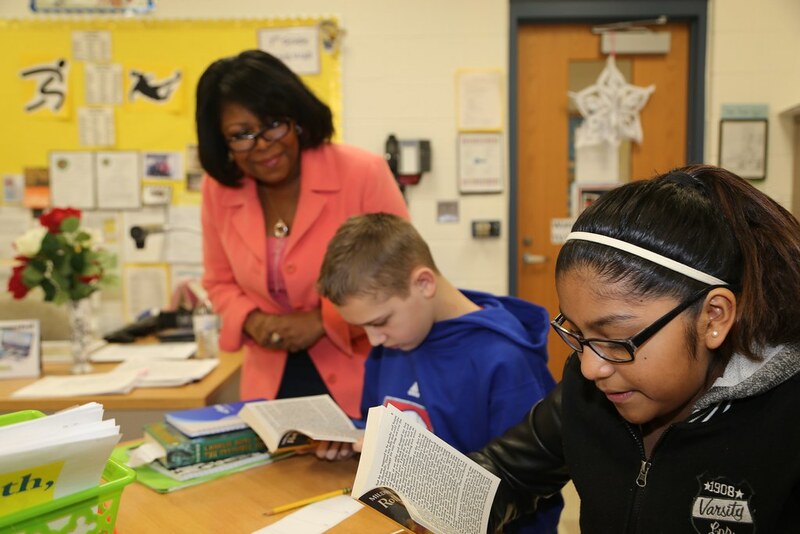 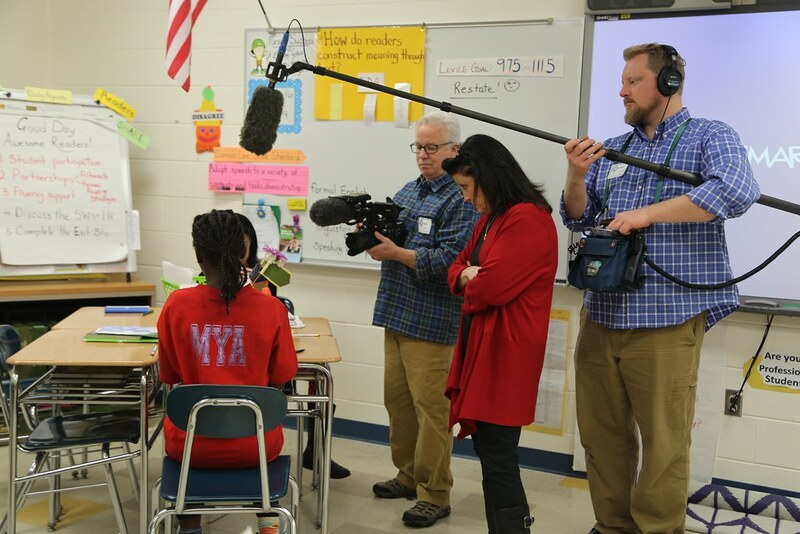 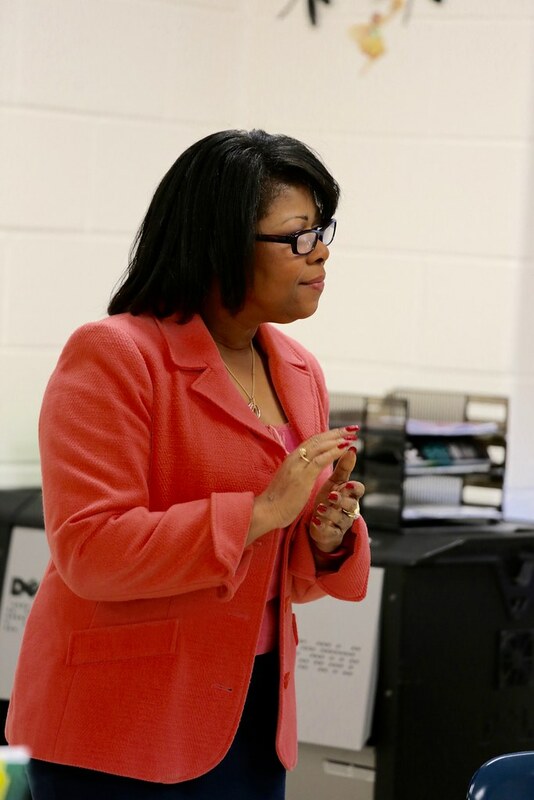 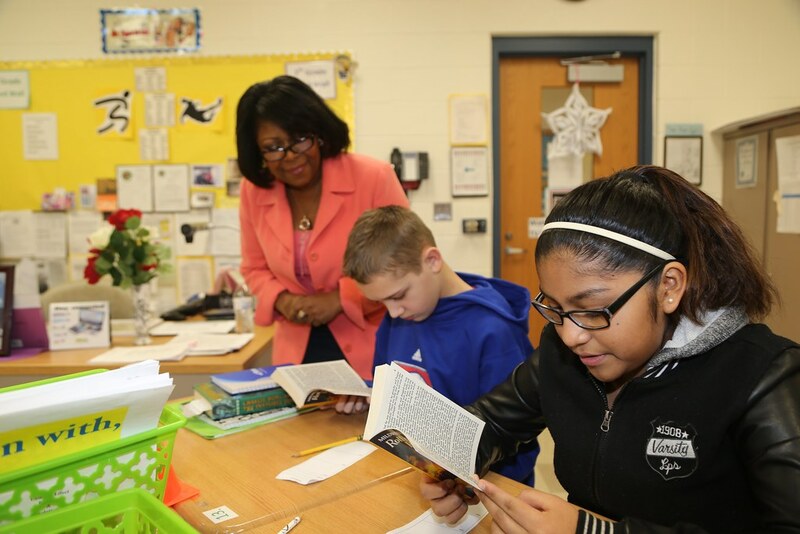 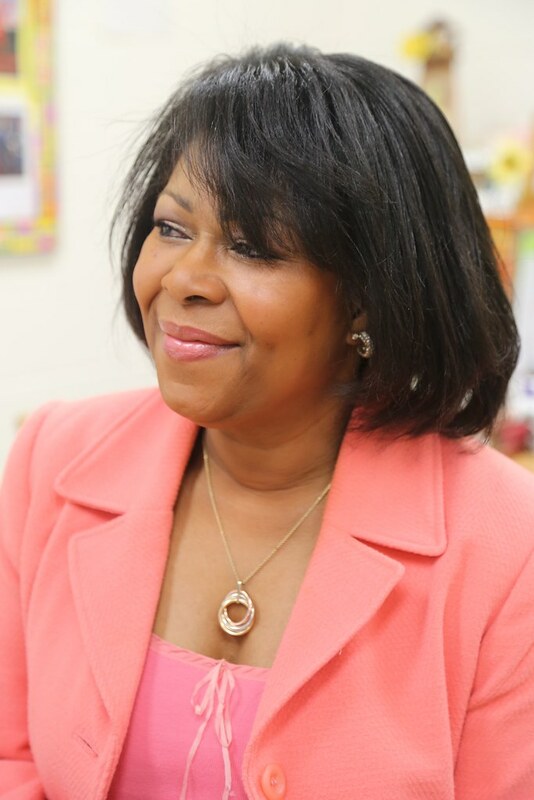 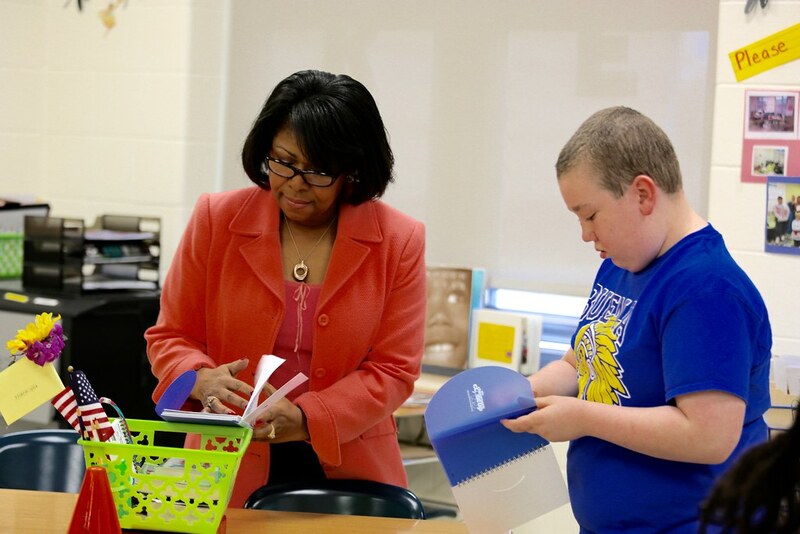 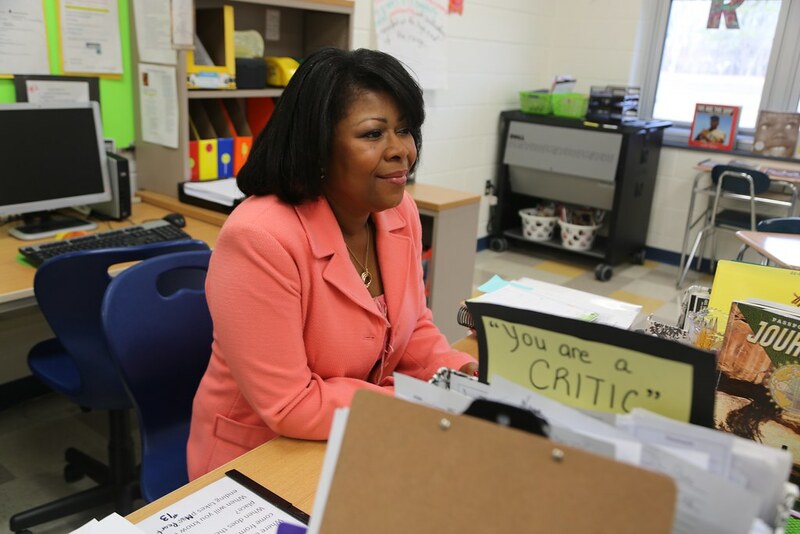 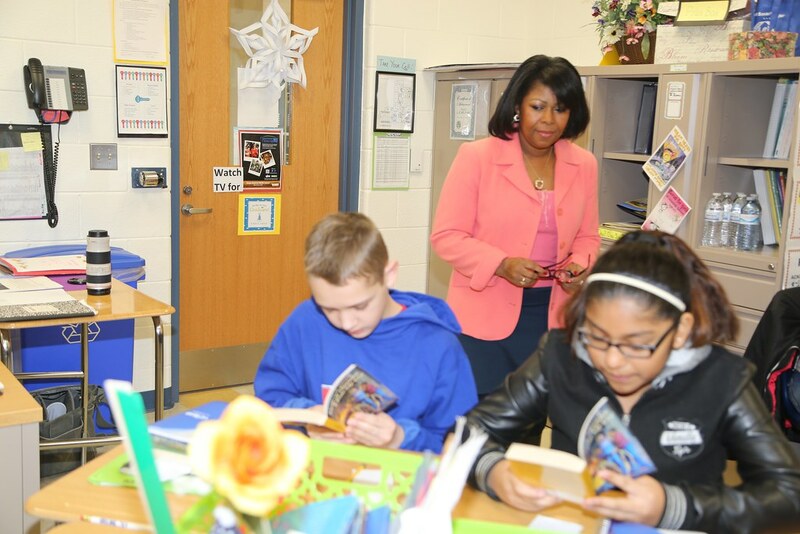 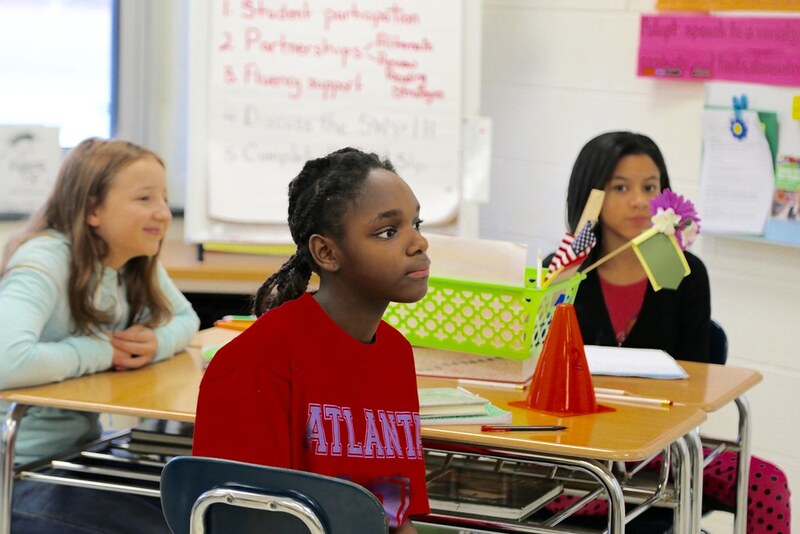 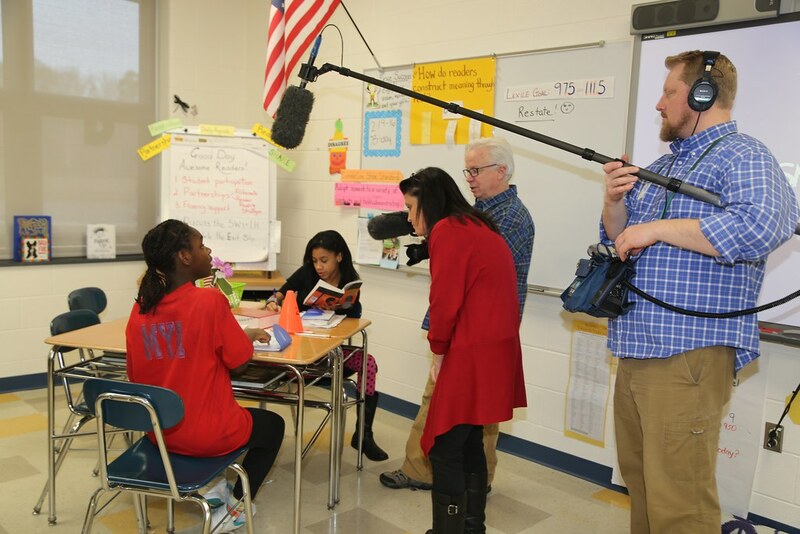 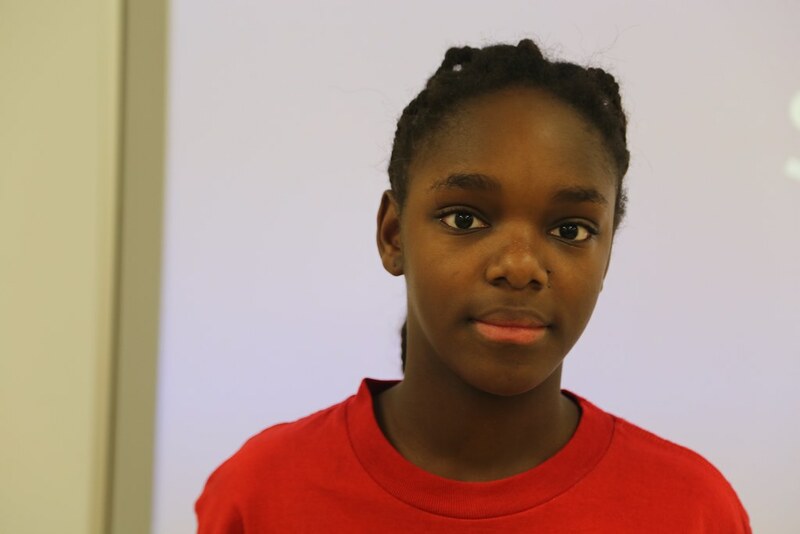 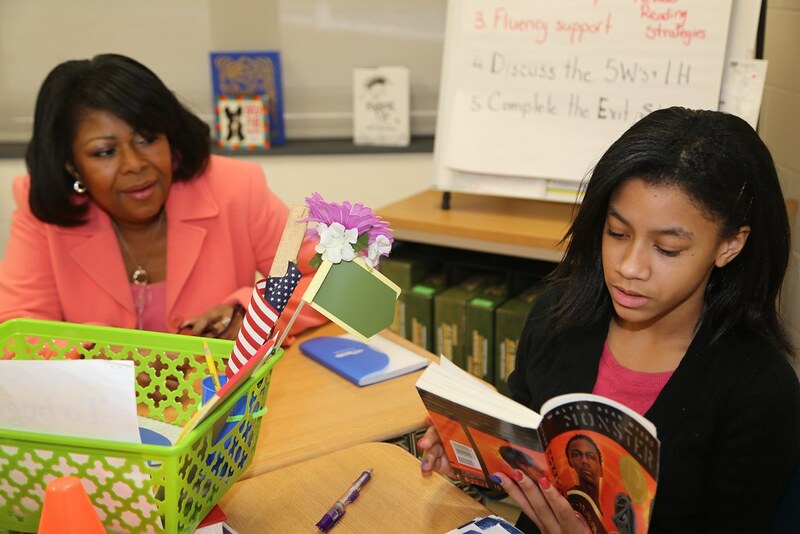 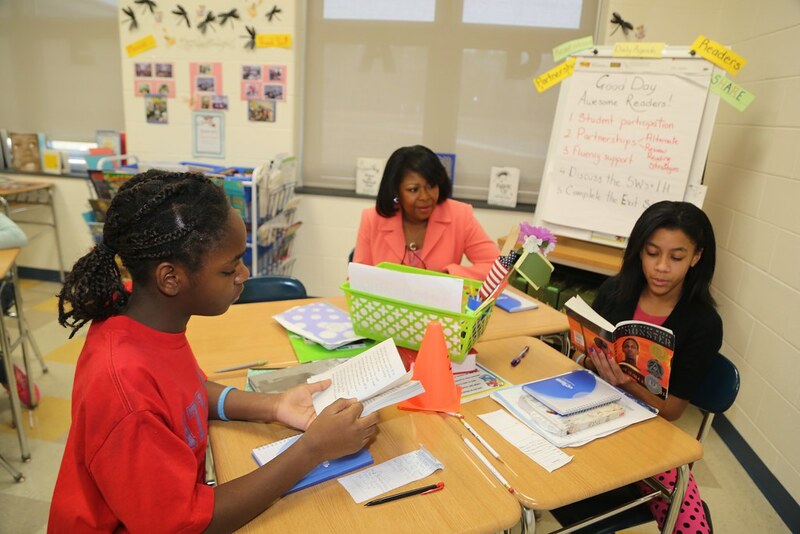 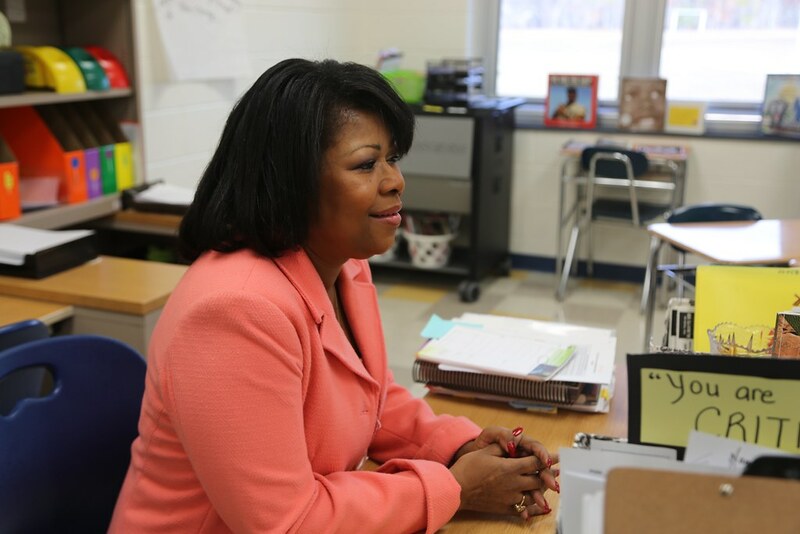 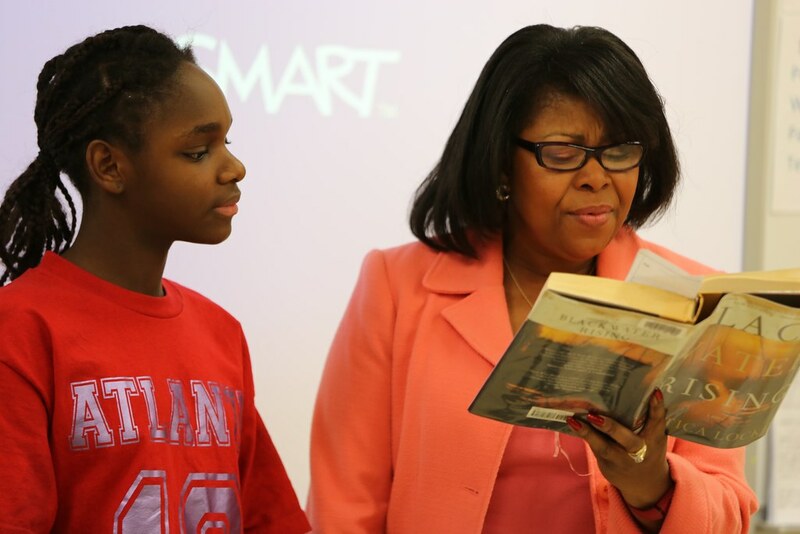 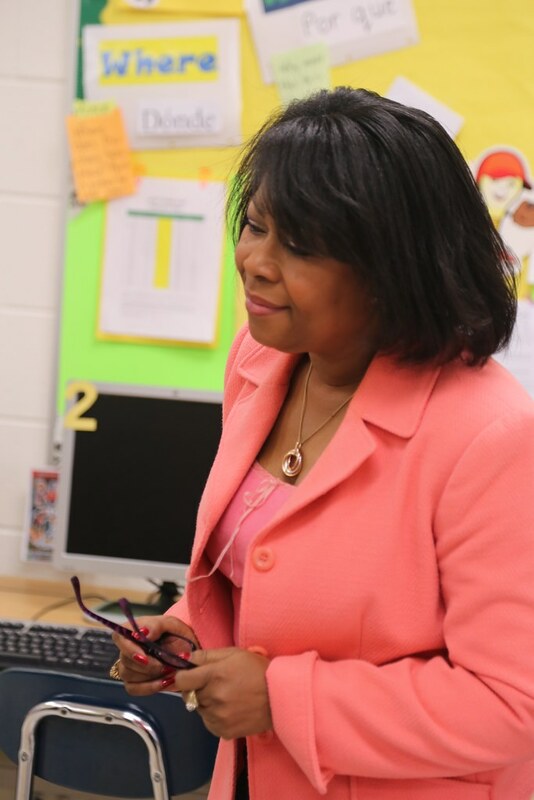 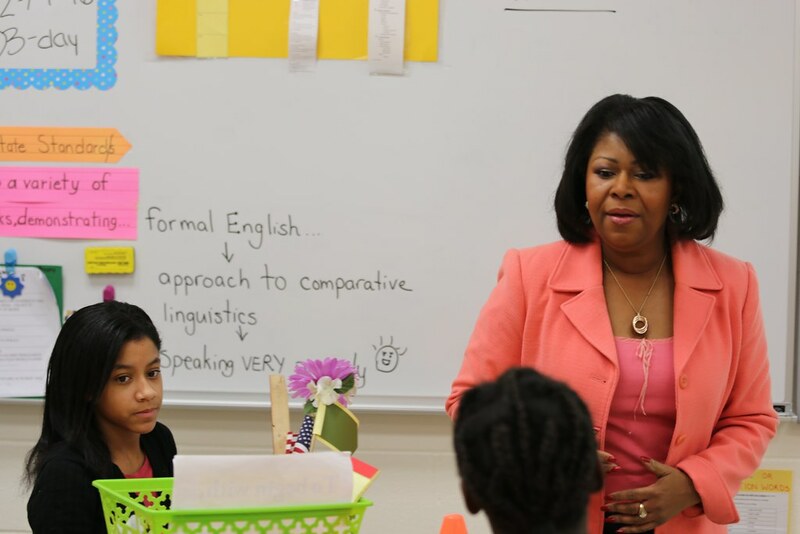 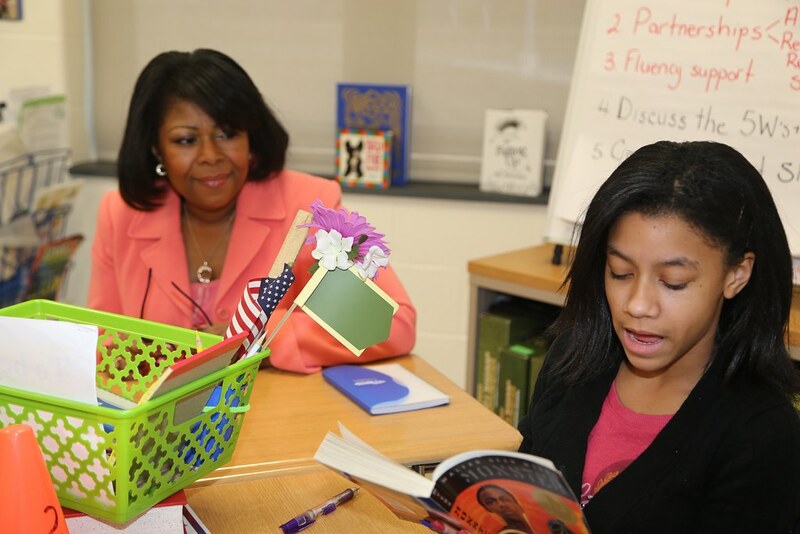 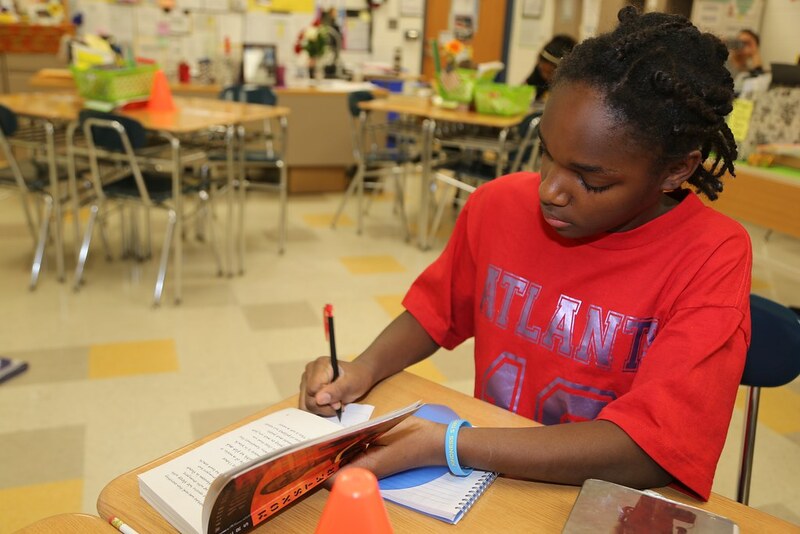 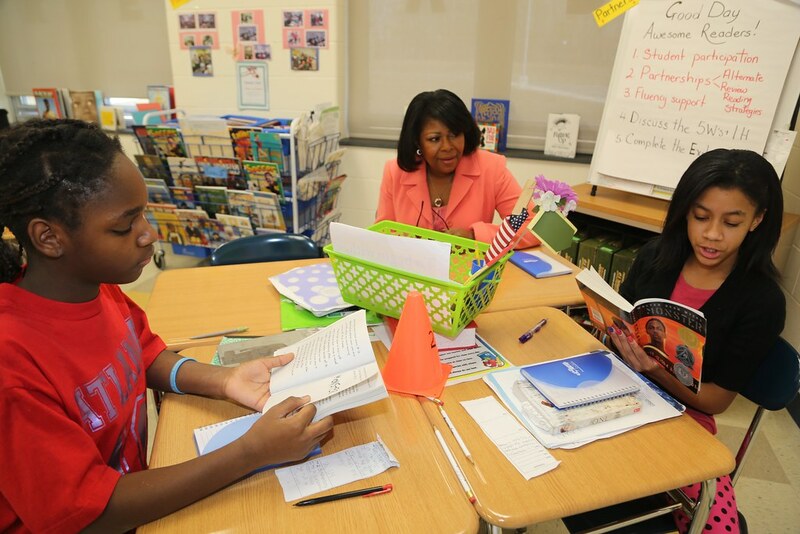 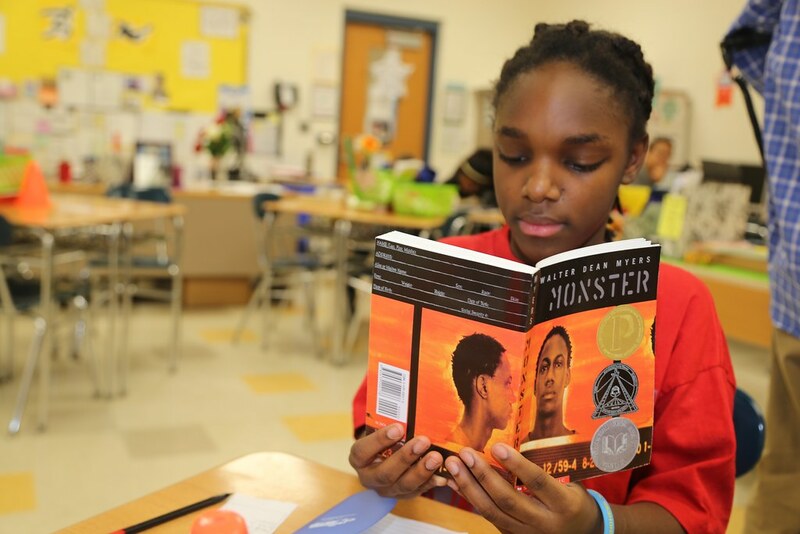 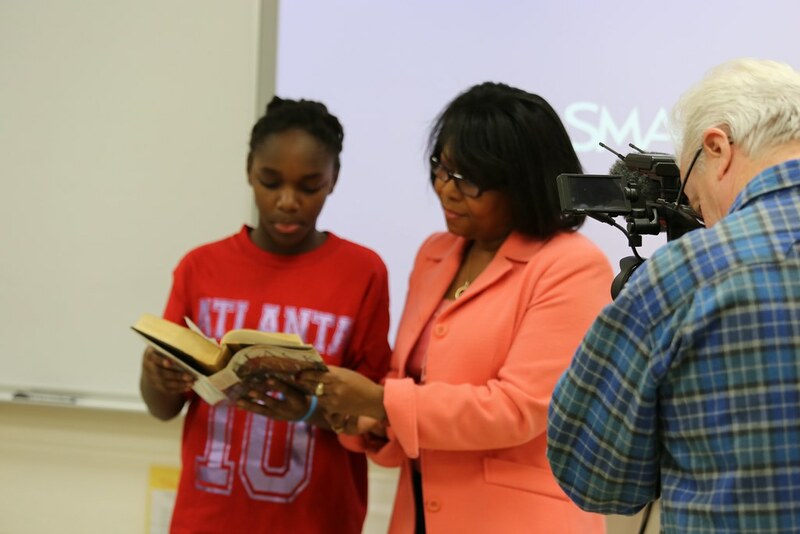 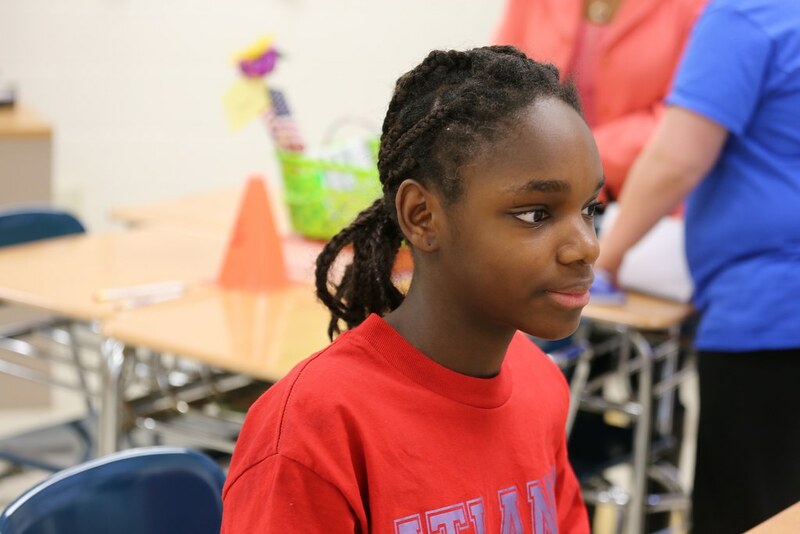 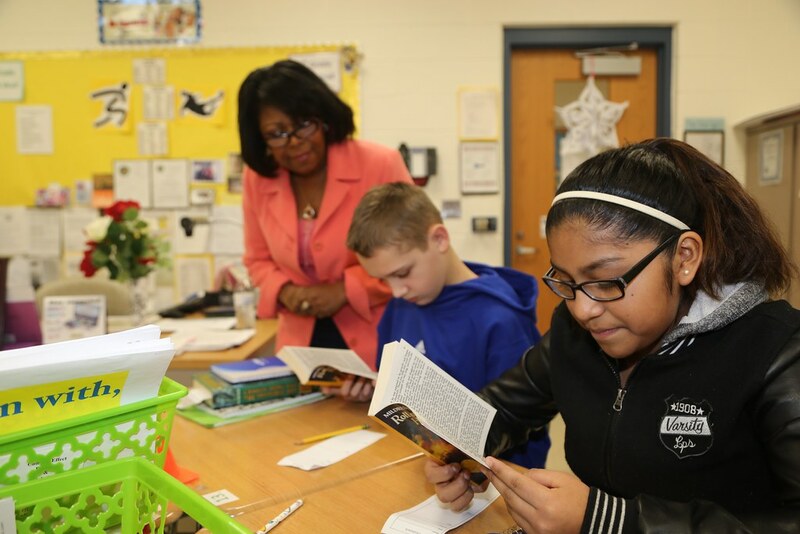 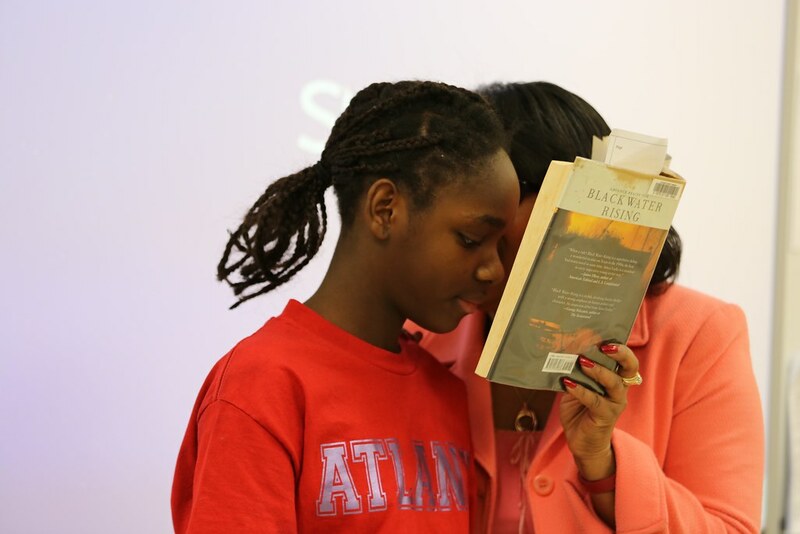 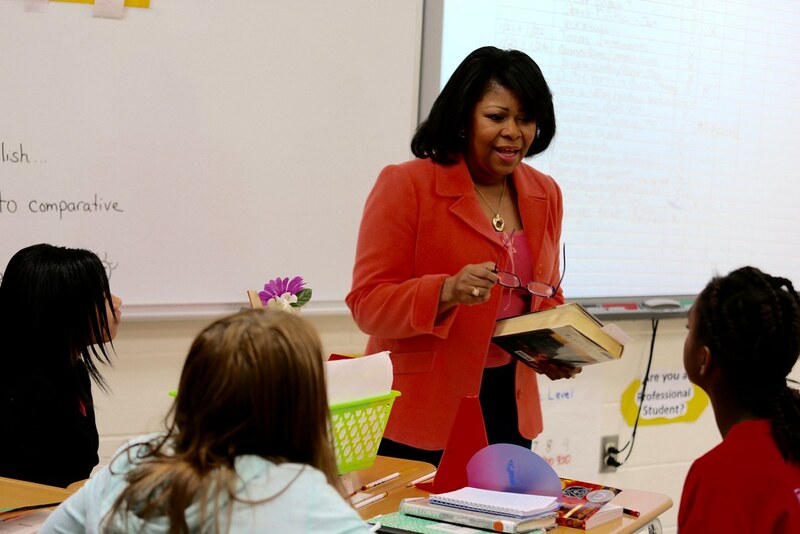 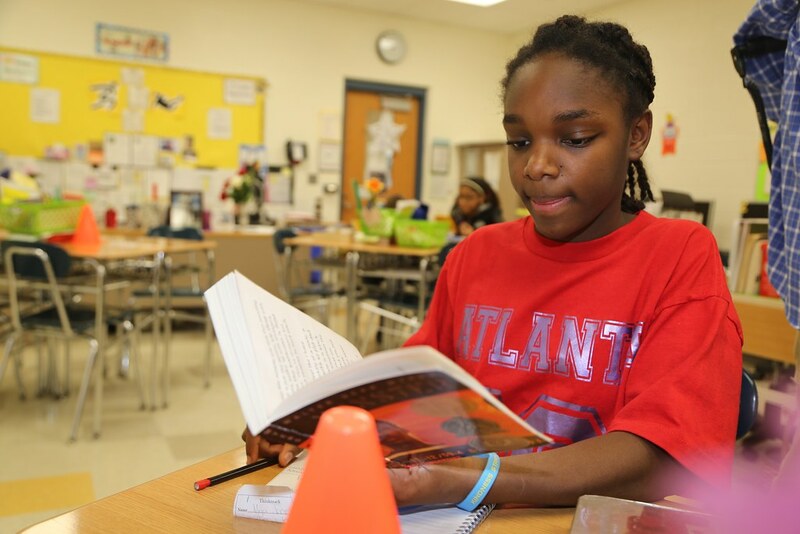 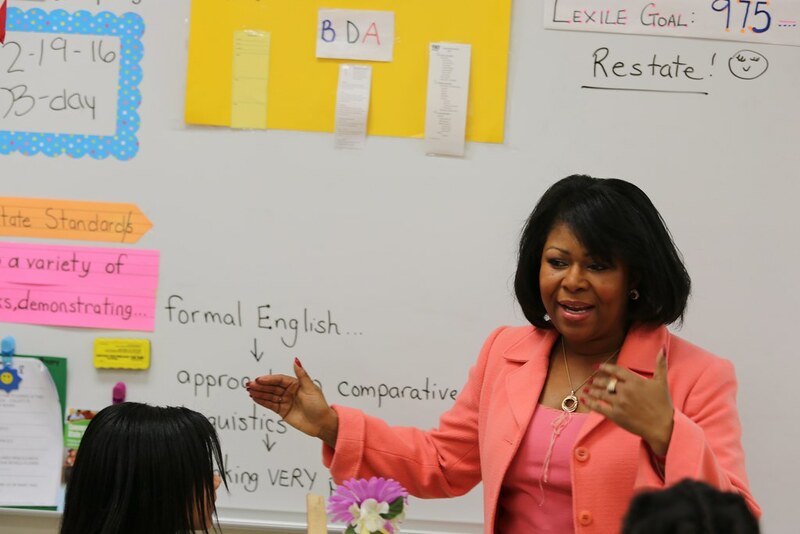 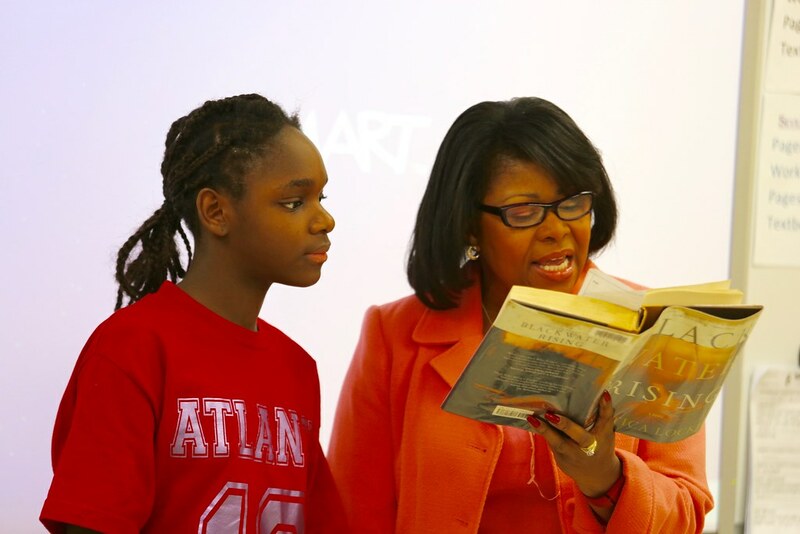 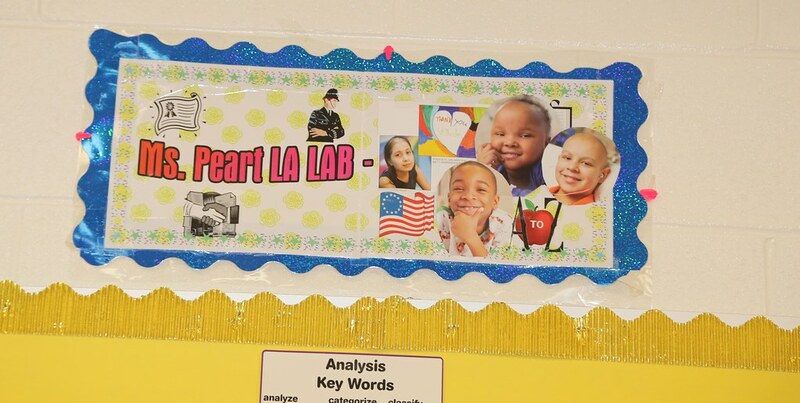 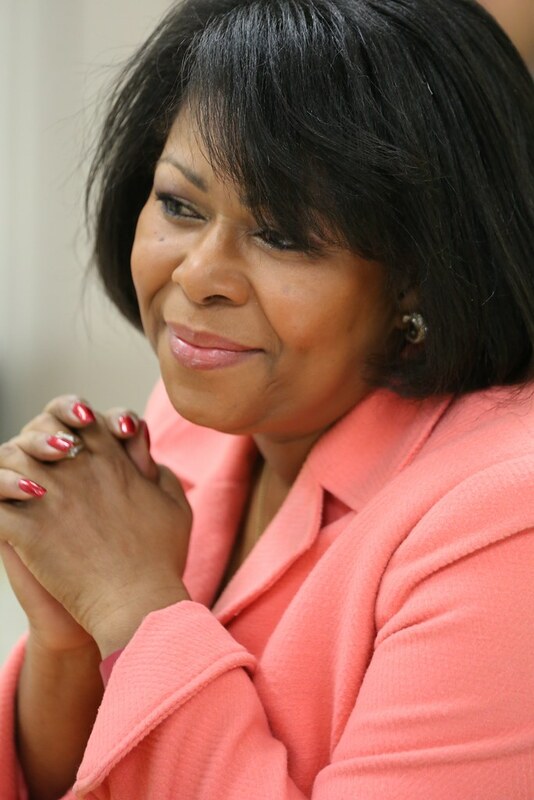 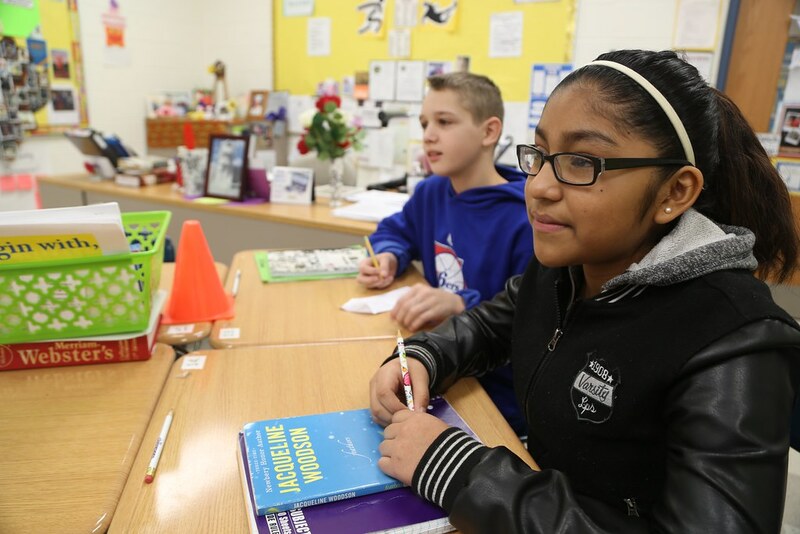 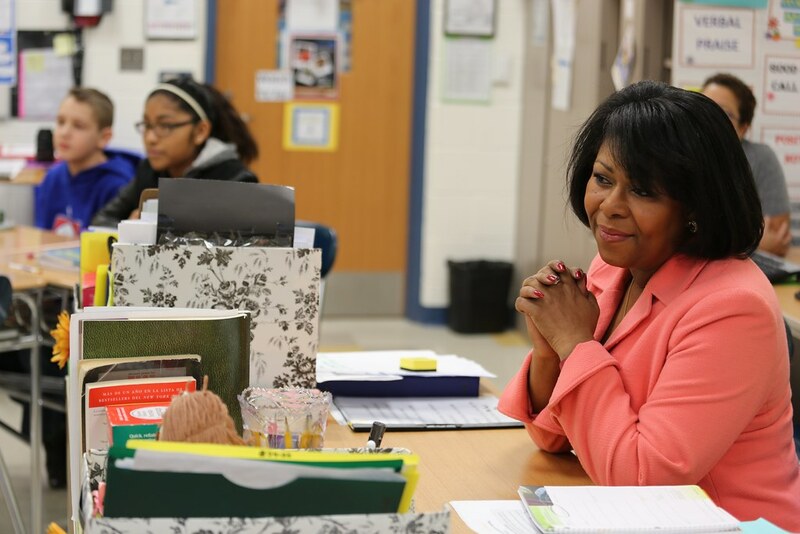 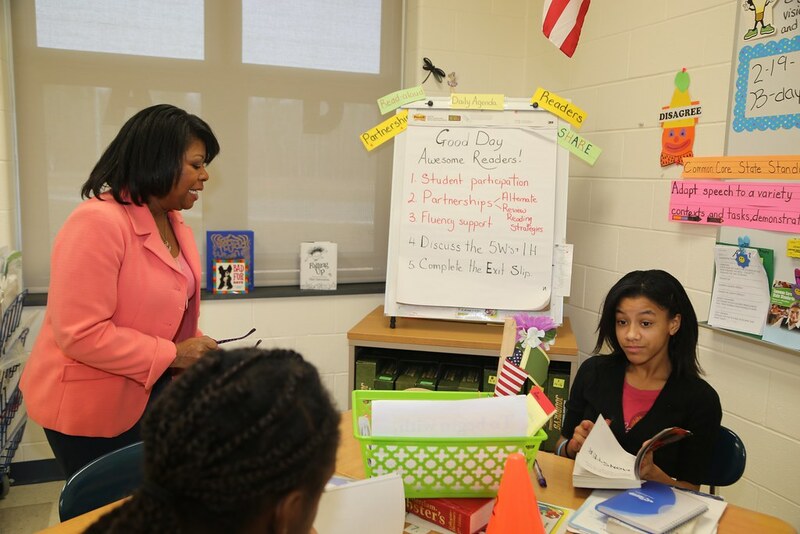 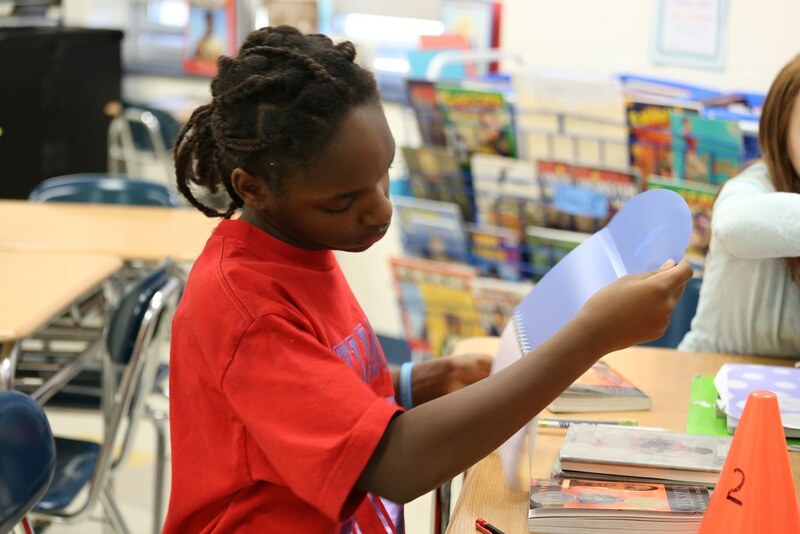 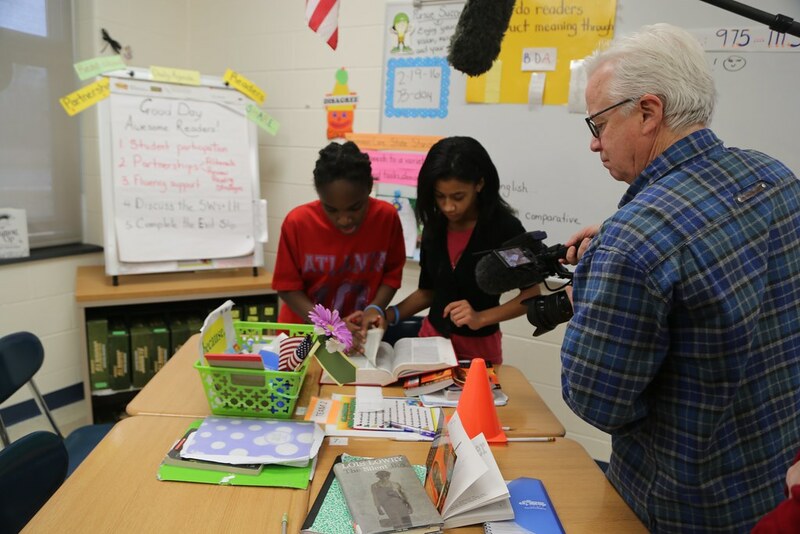 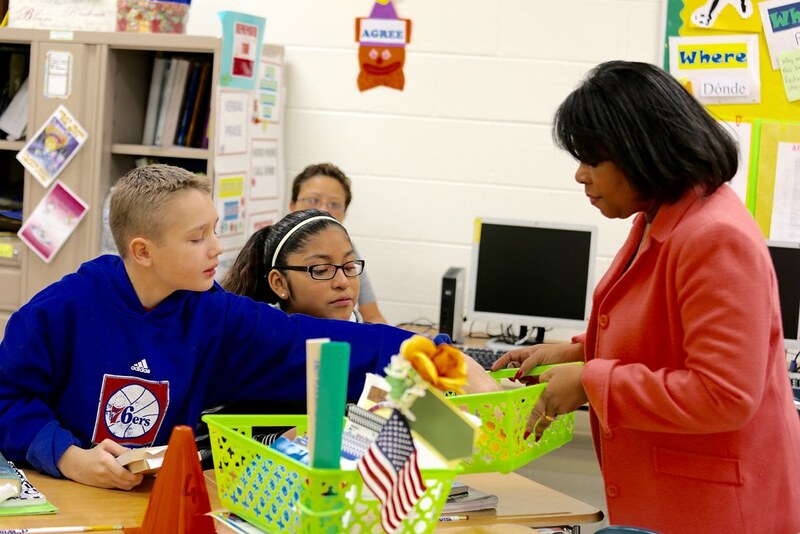 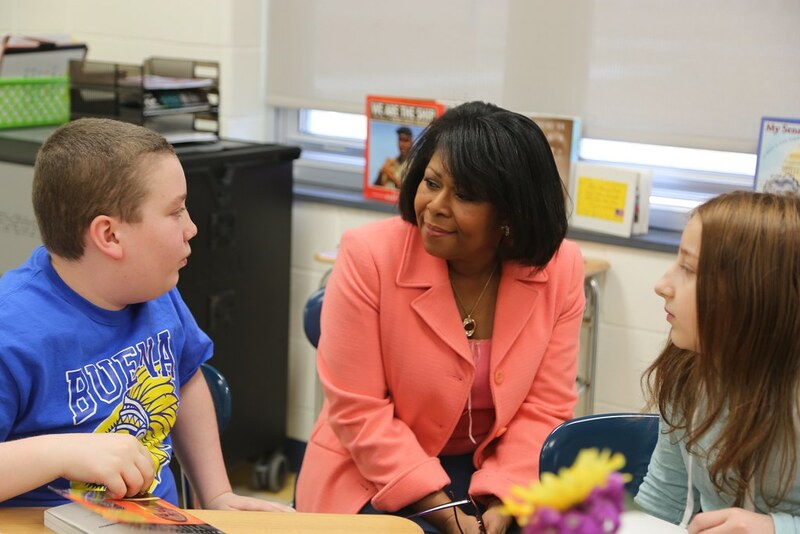 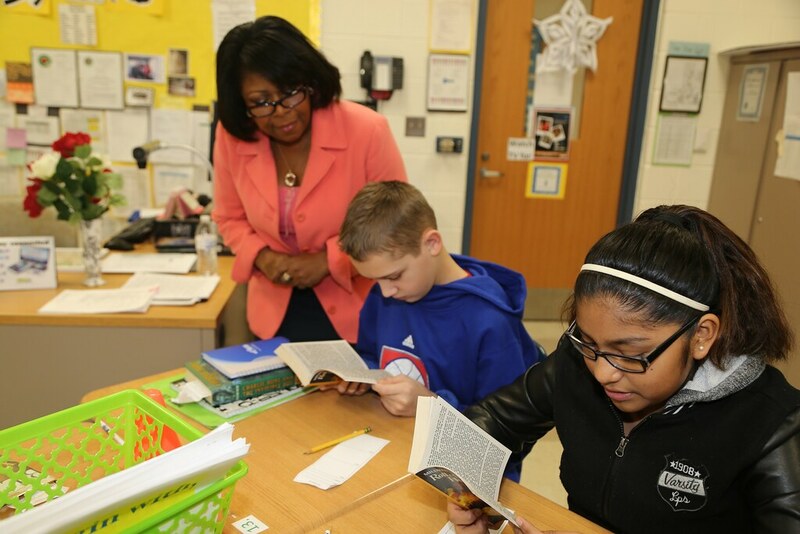 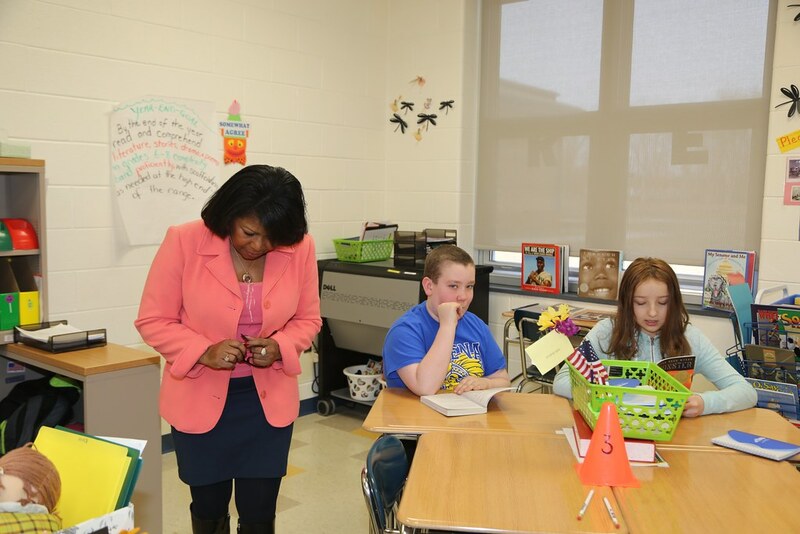 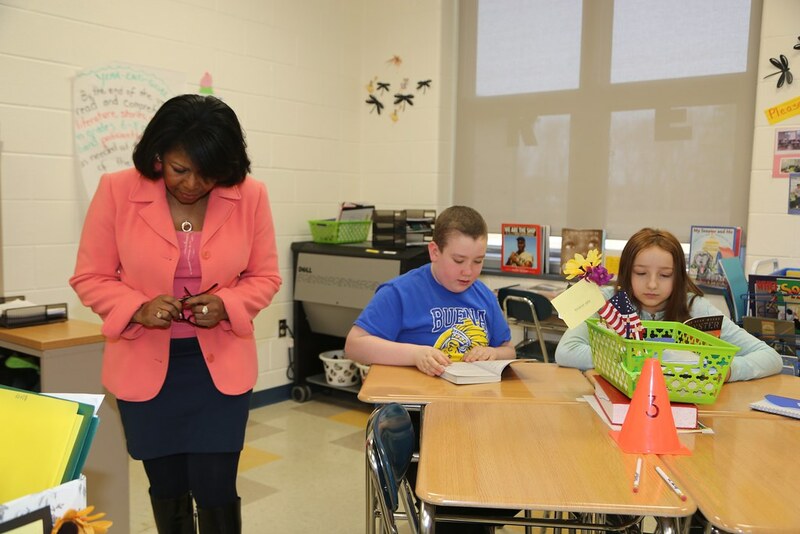 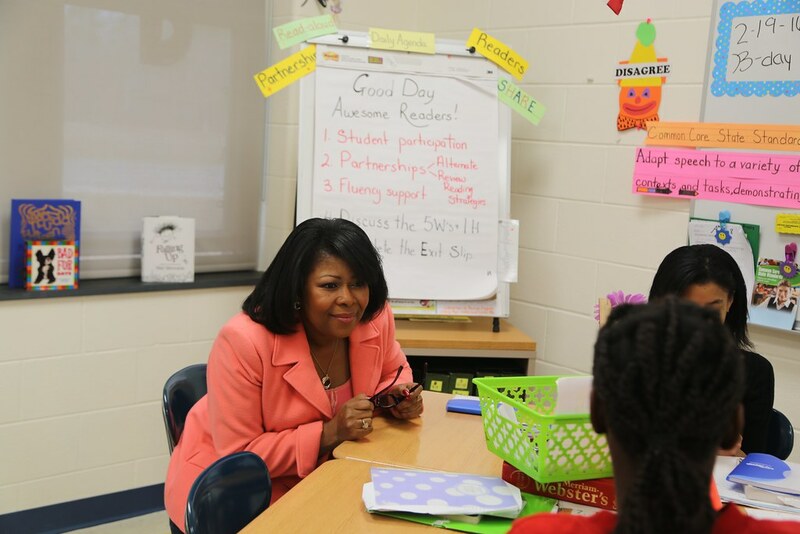 Reading specialist Sandra Peart sees 64 students every other day for 45 minutes. 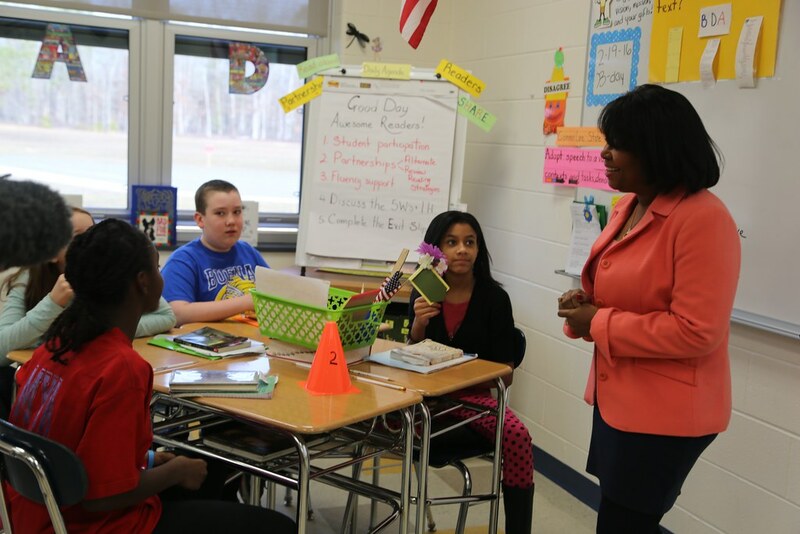 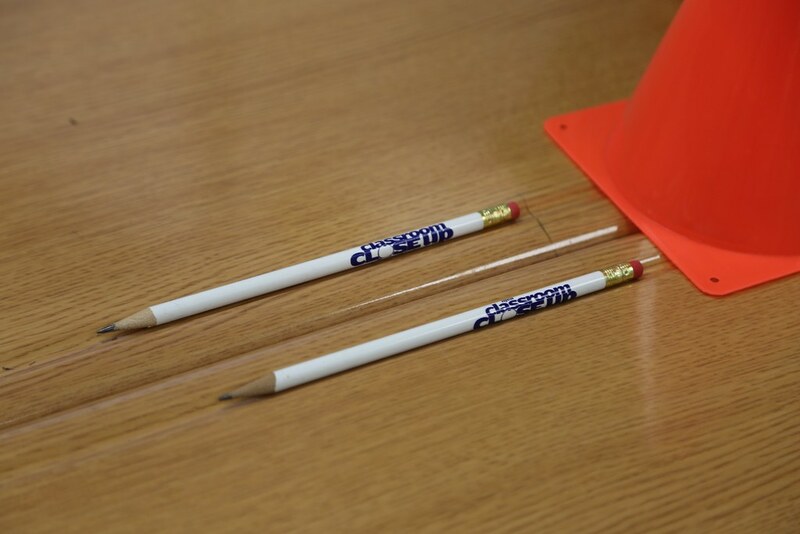 She introduces a concept, then the students take over - they take ownership of their own learning. 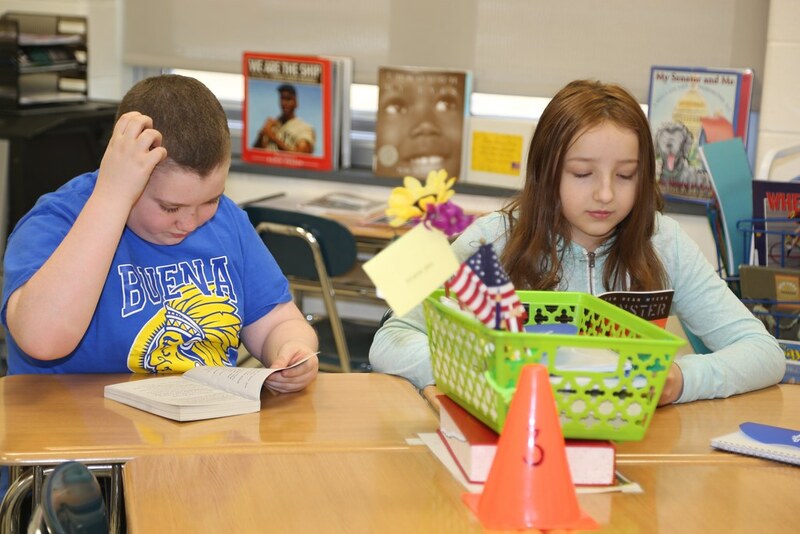 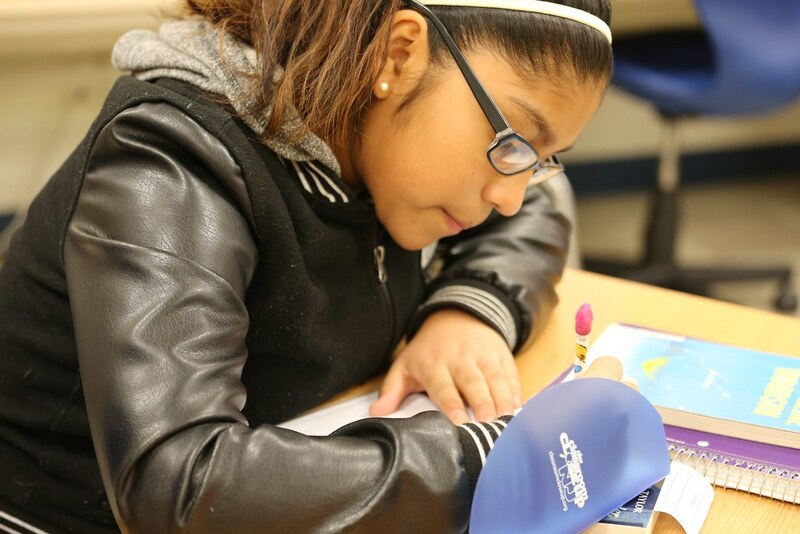 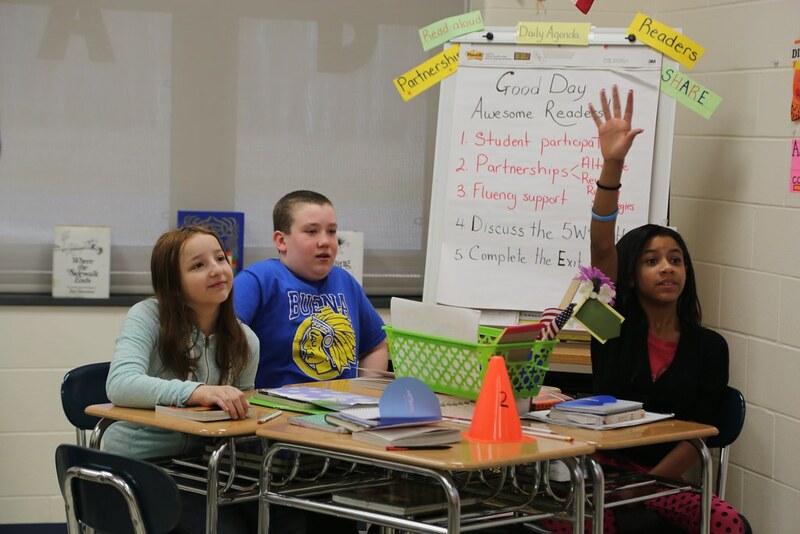 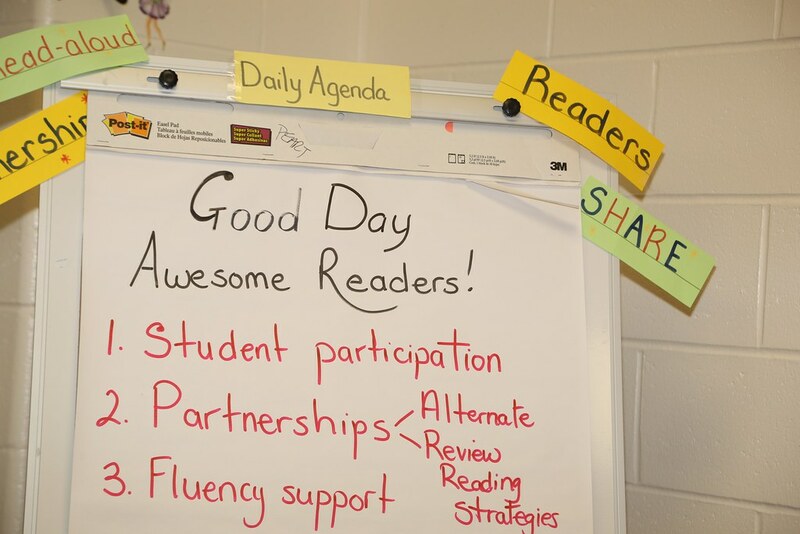 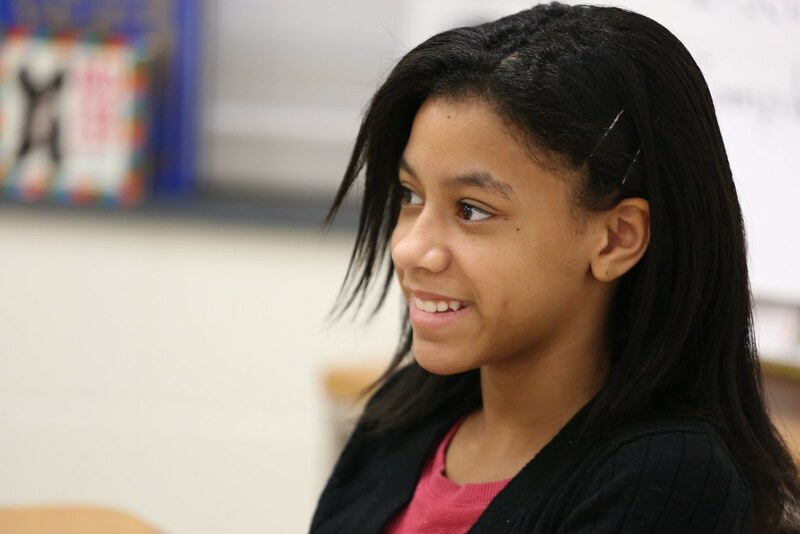 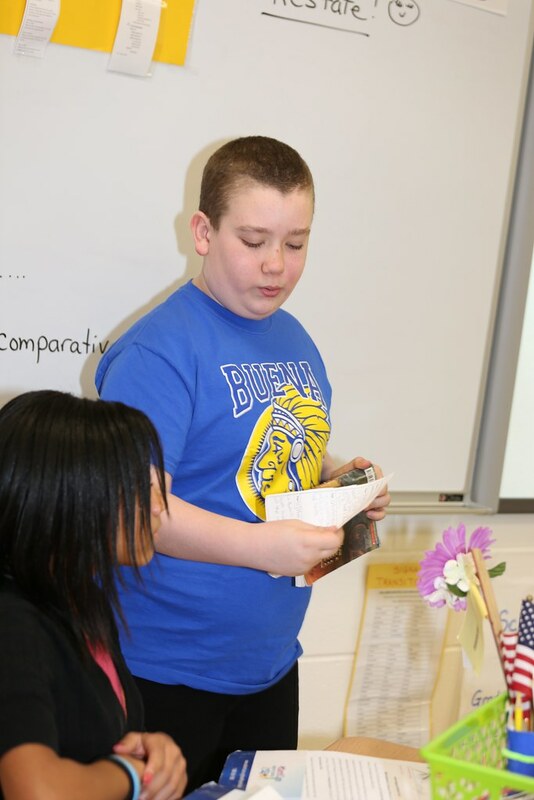 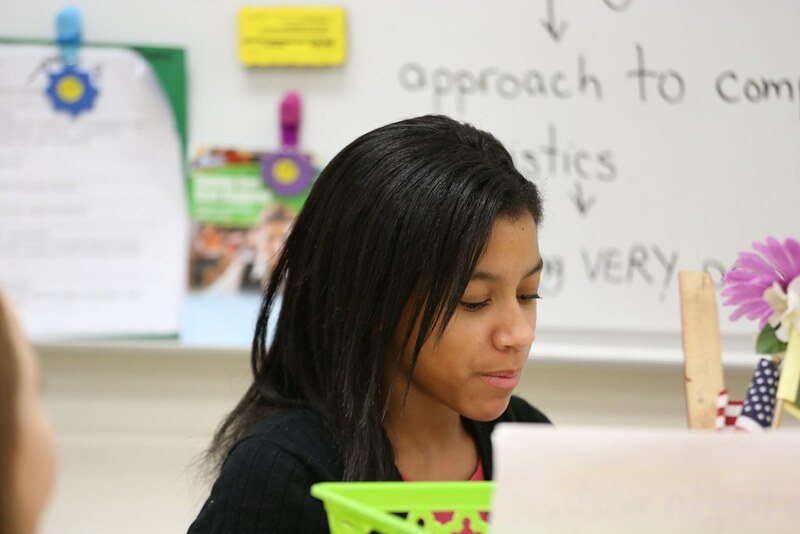 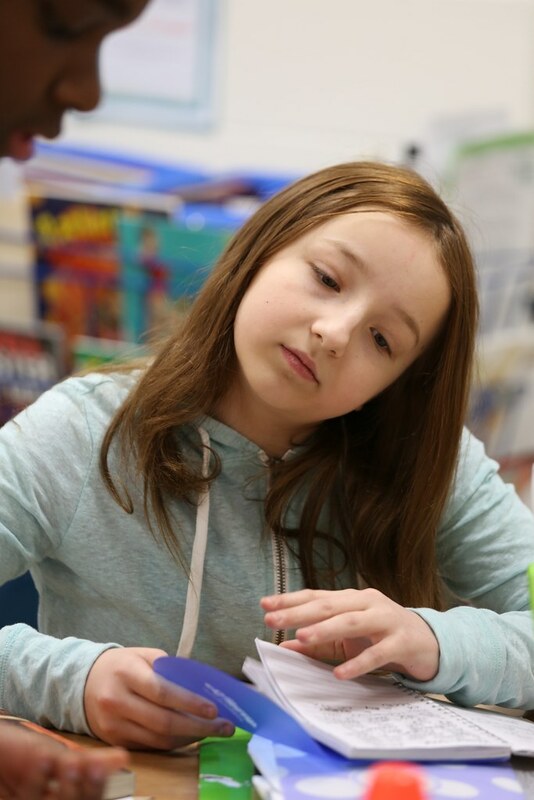 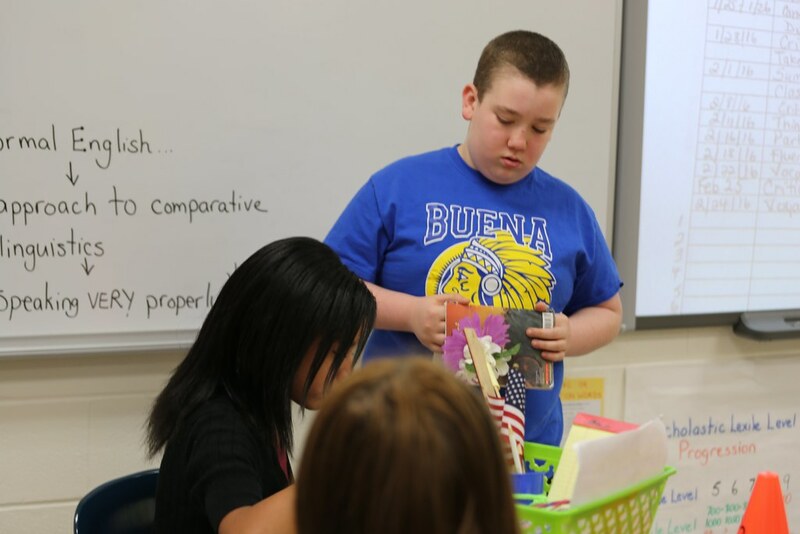 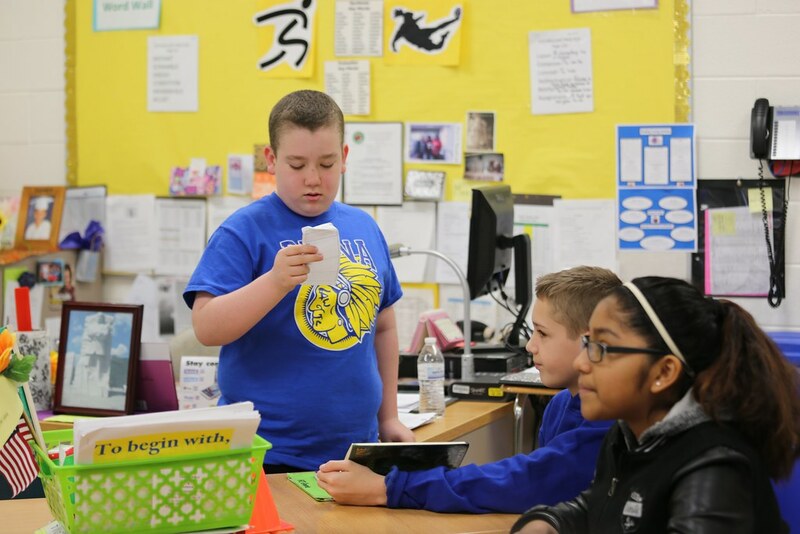 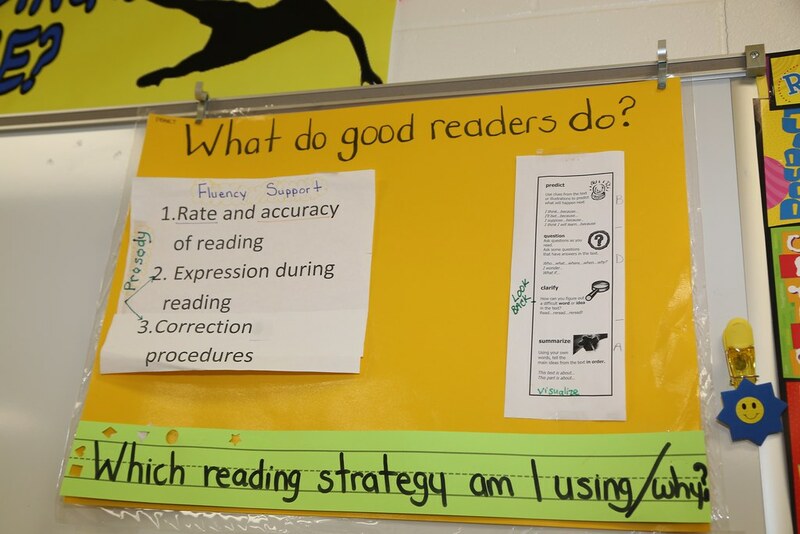 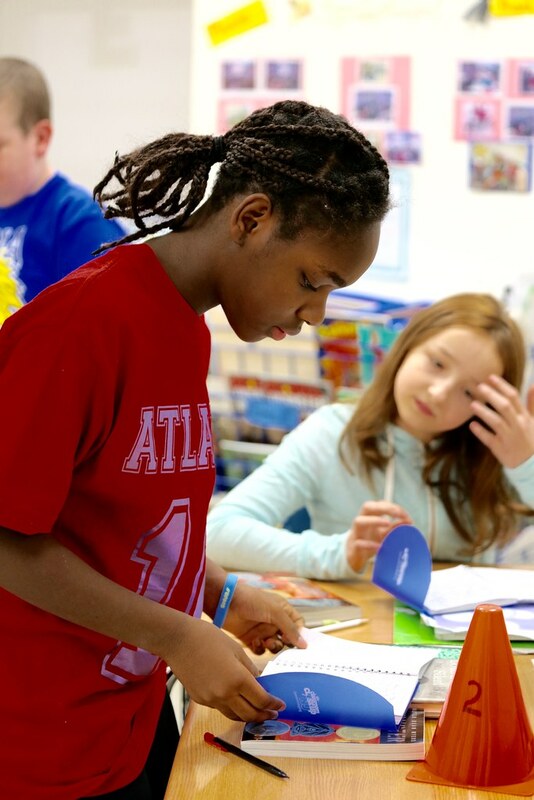 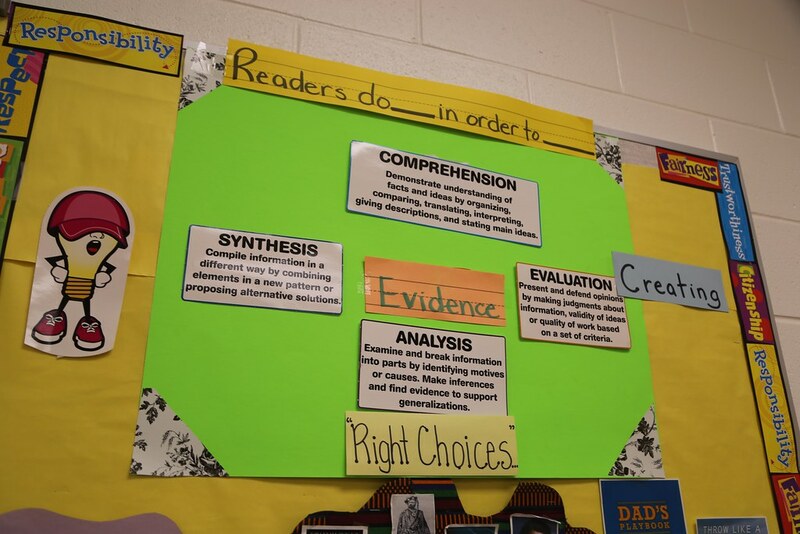 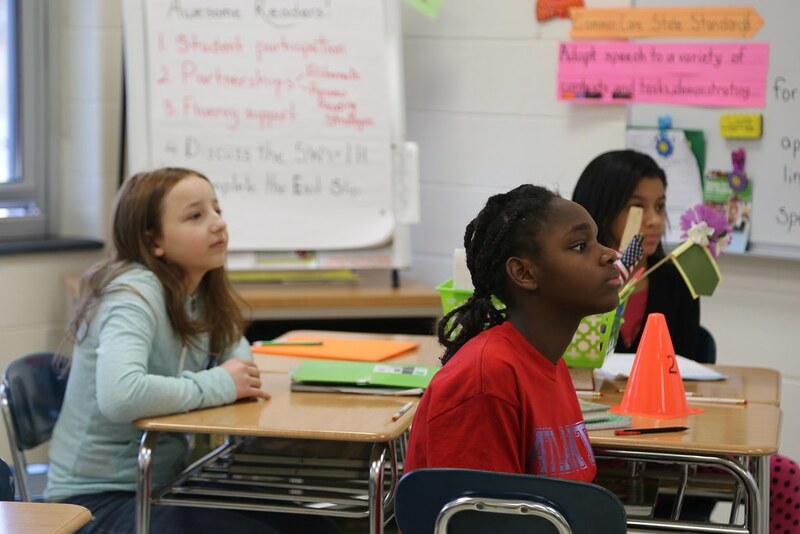 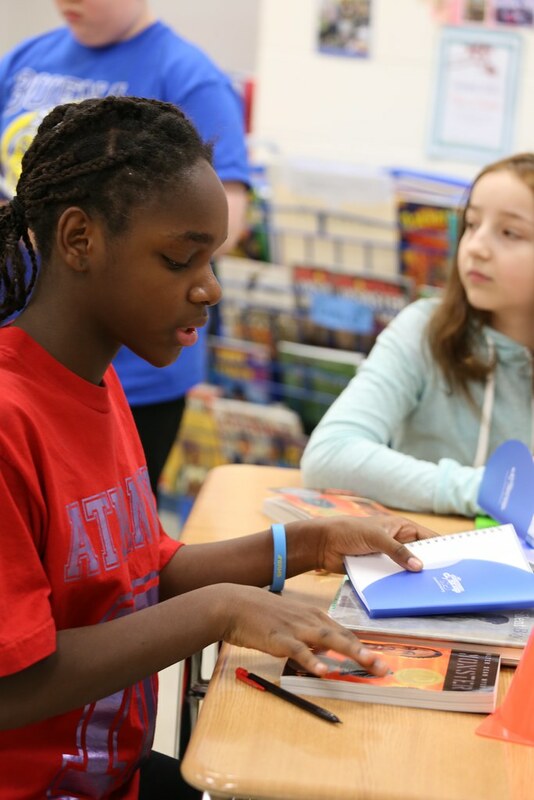 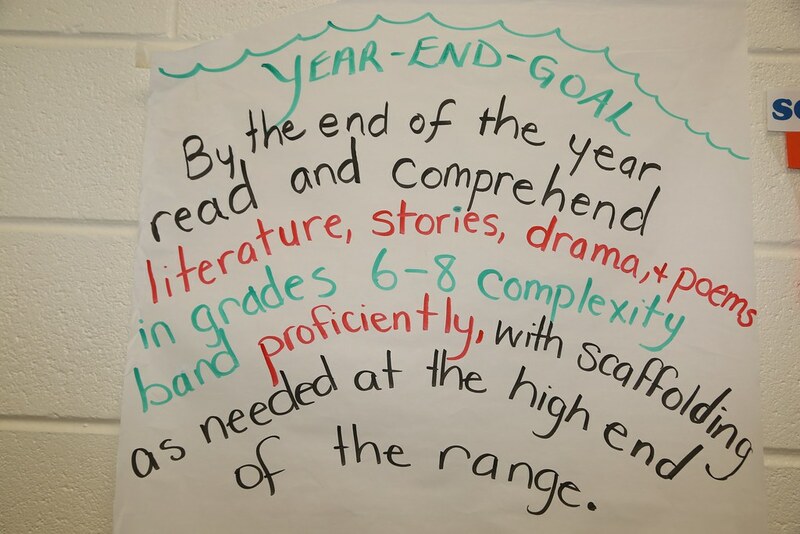 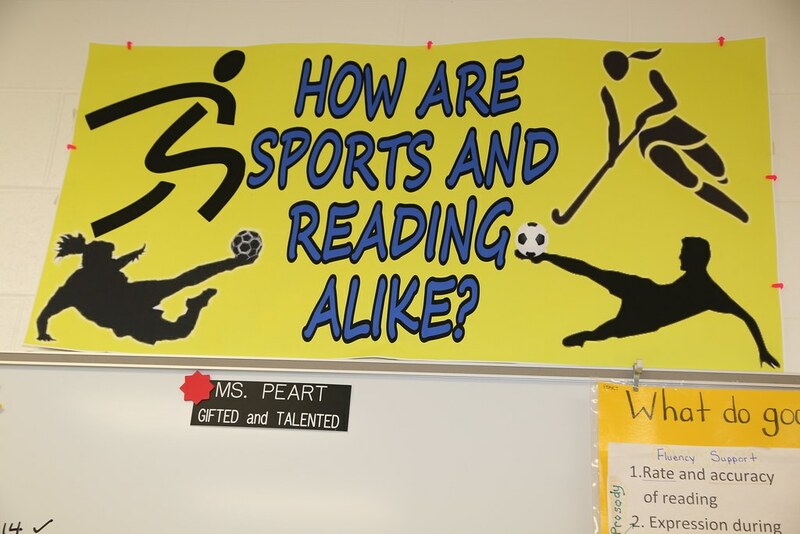 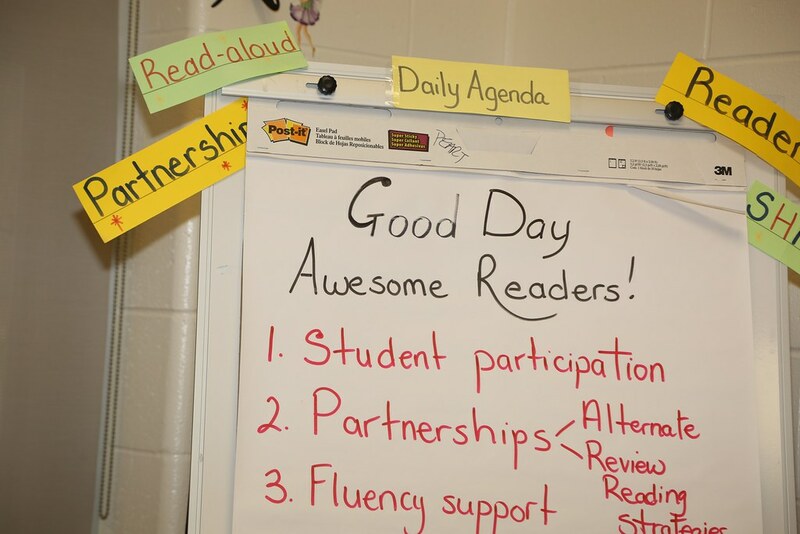 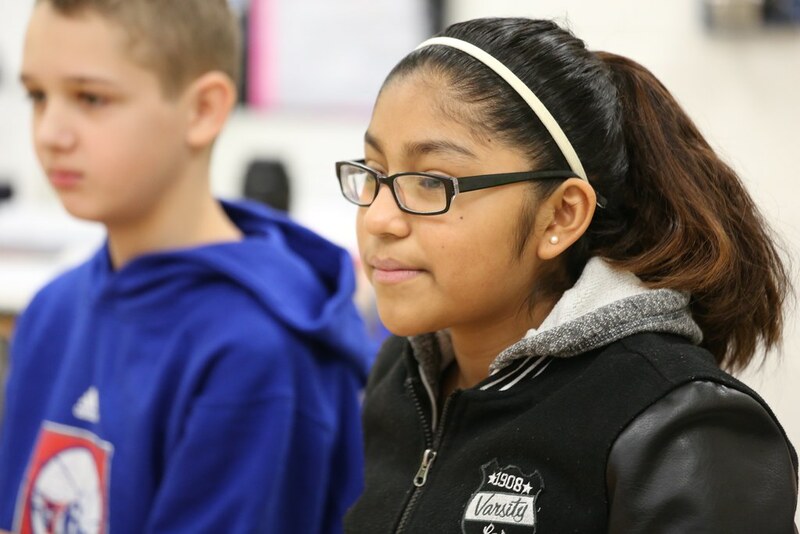 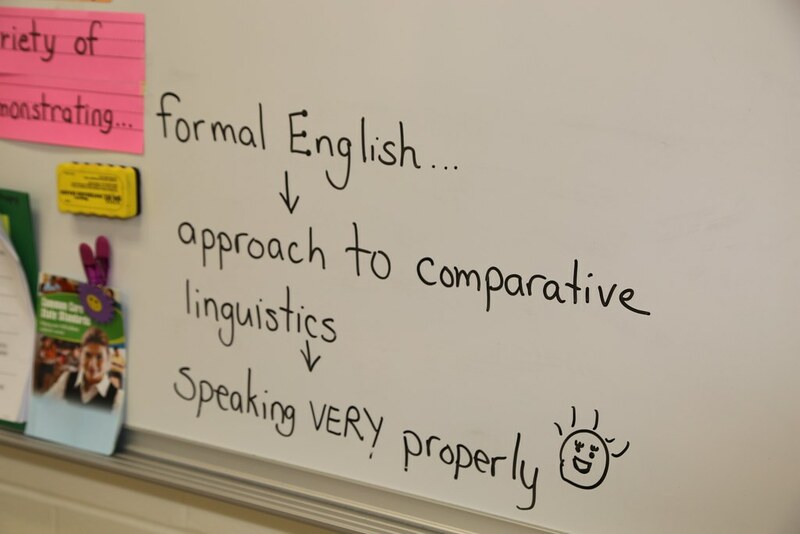 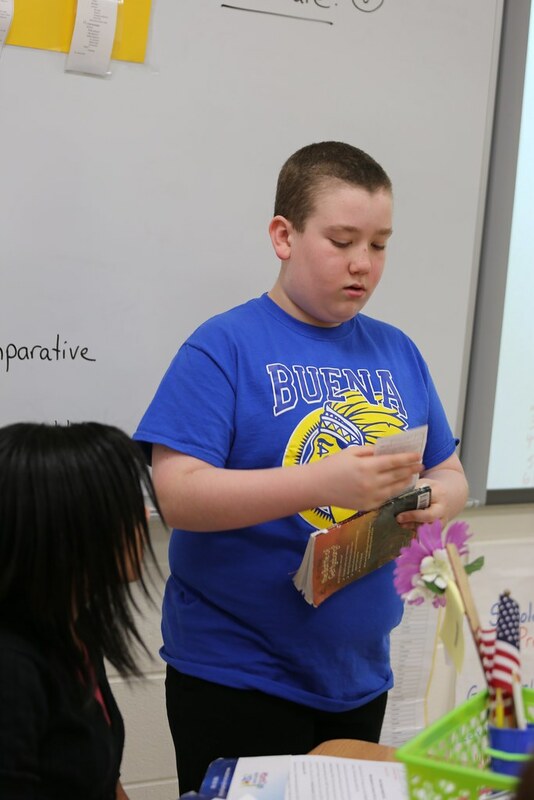 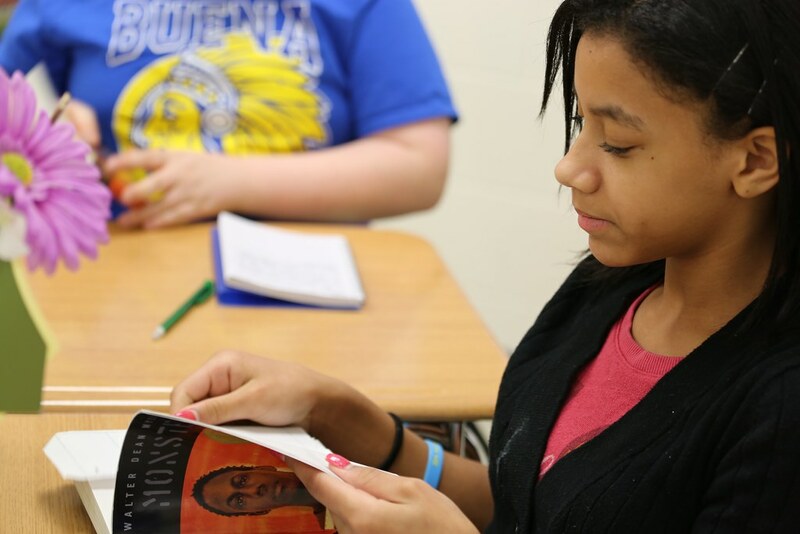 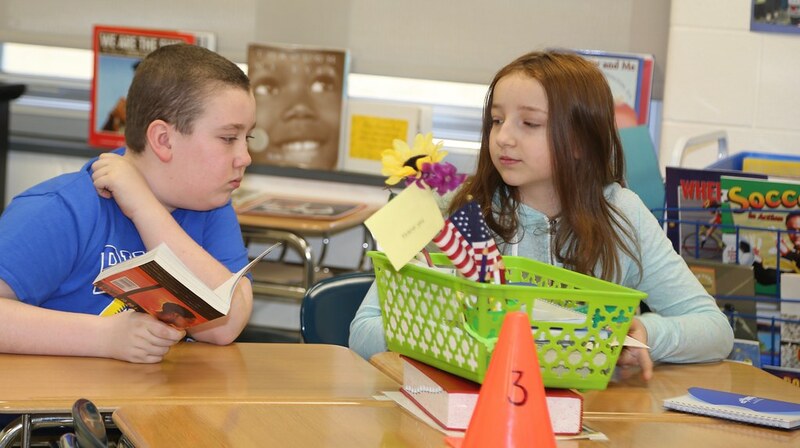 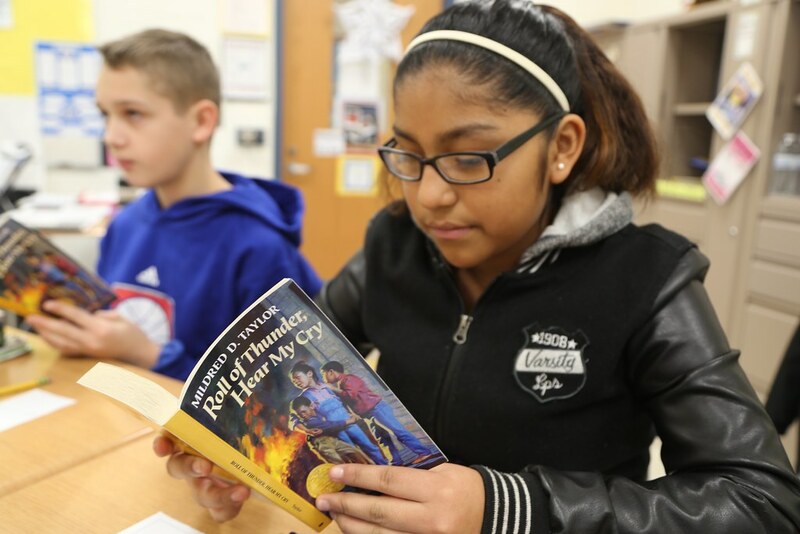 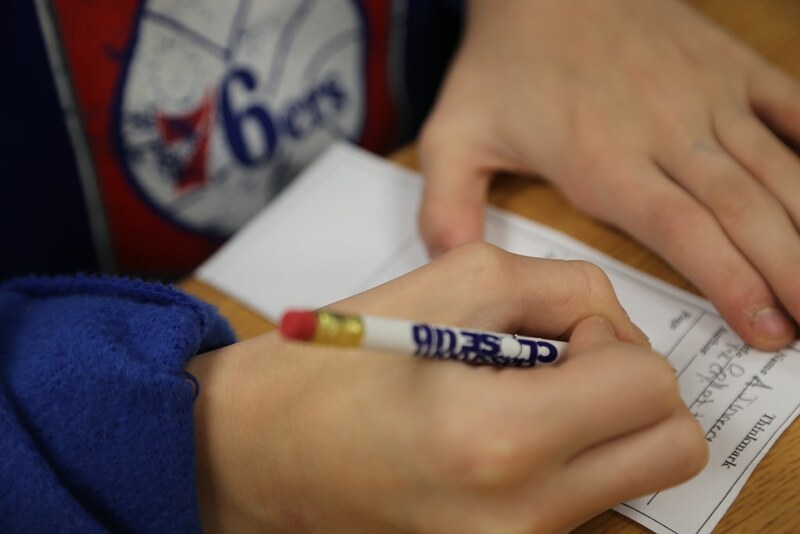 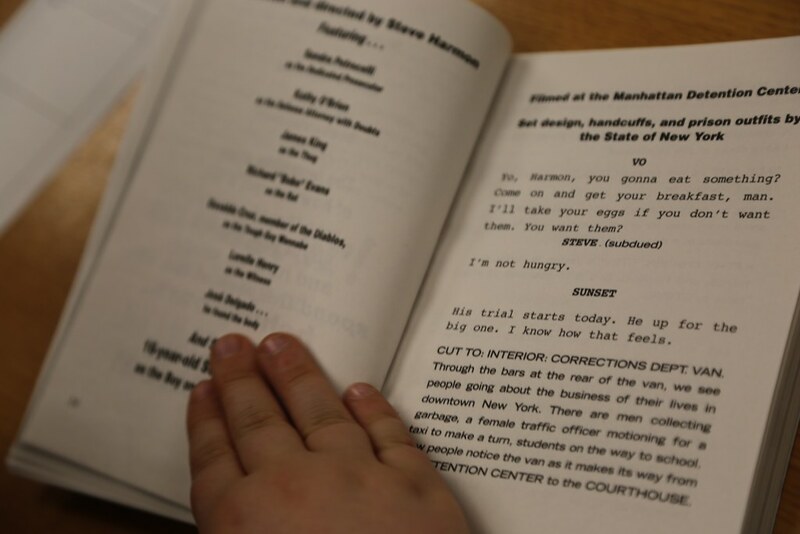 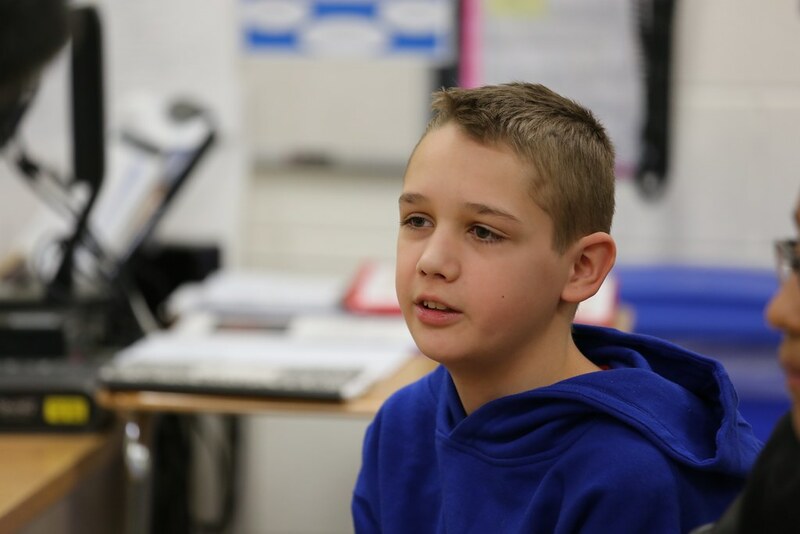 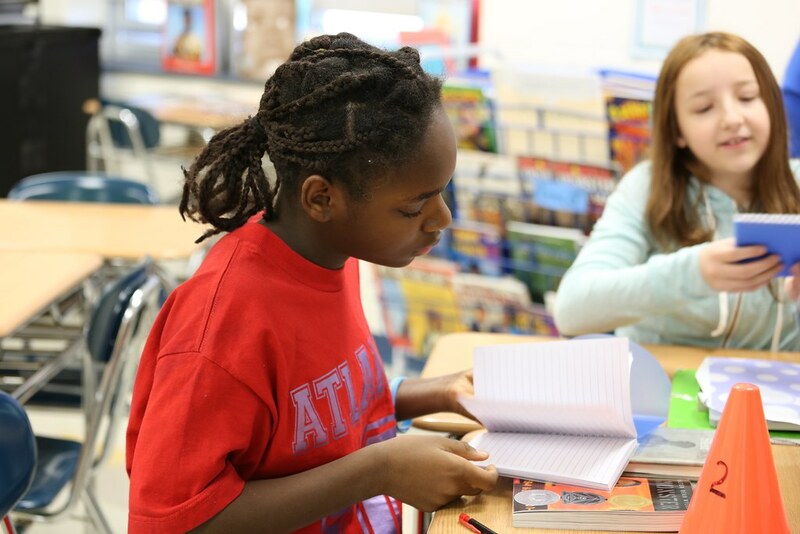 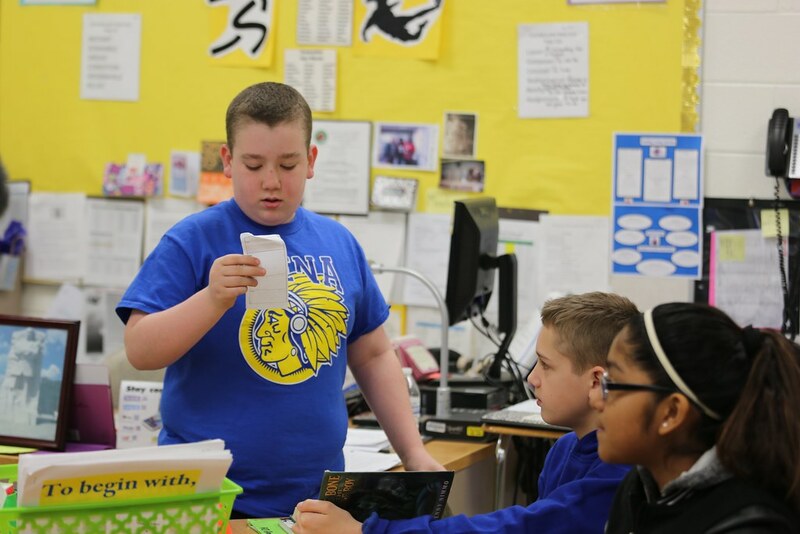 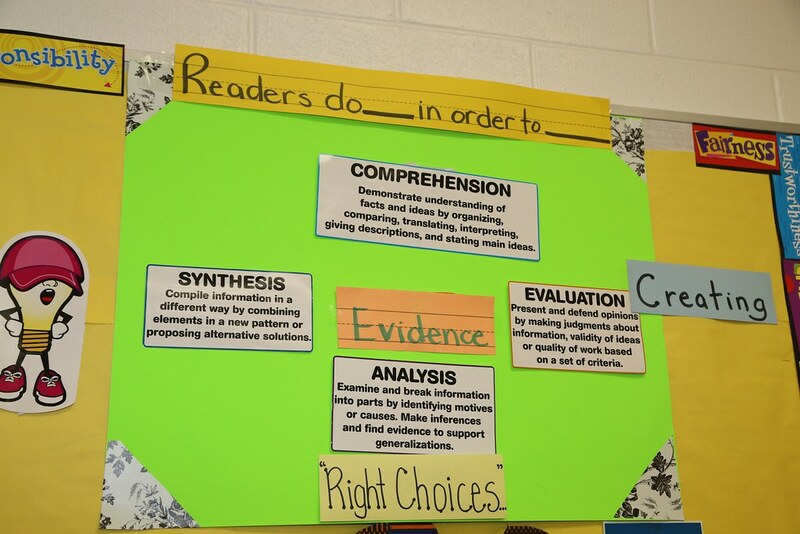 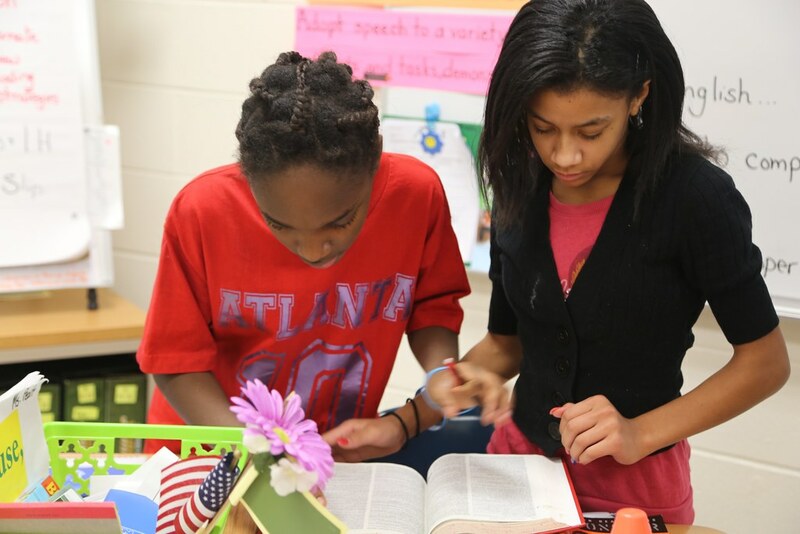 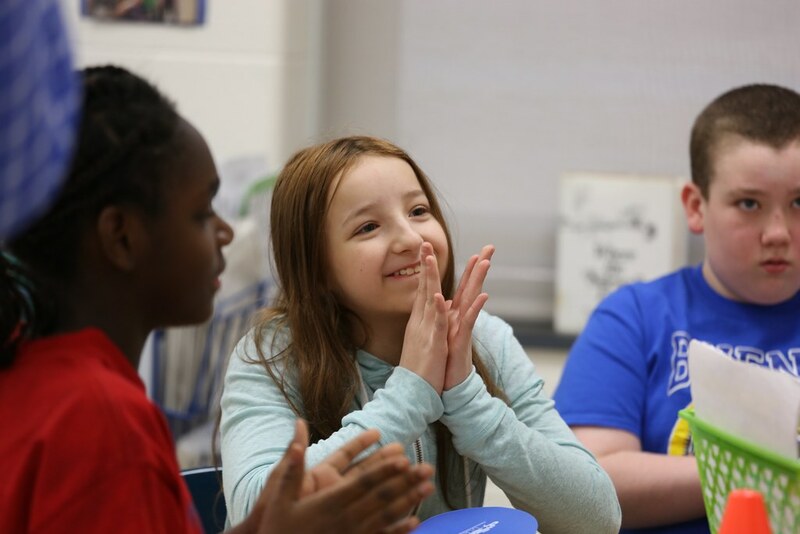 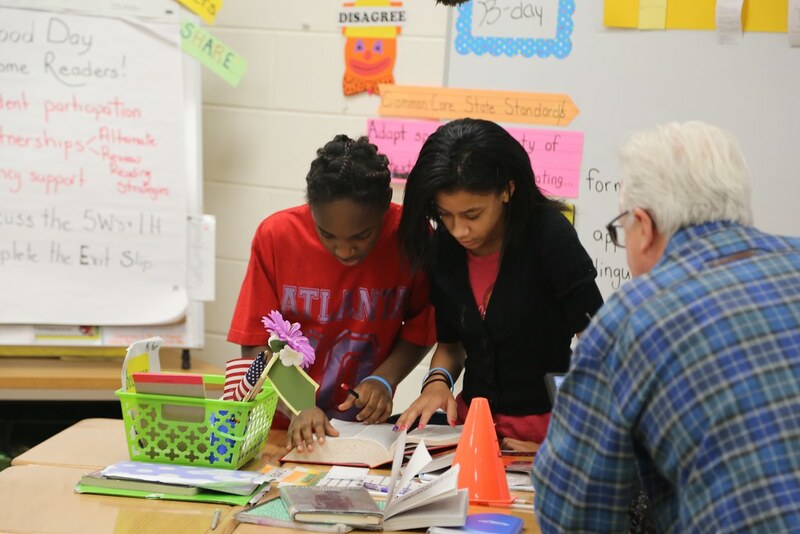 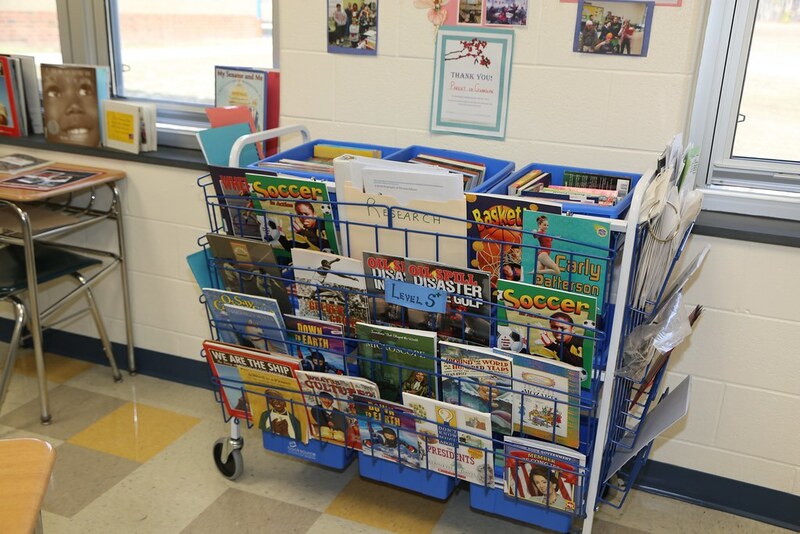 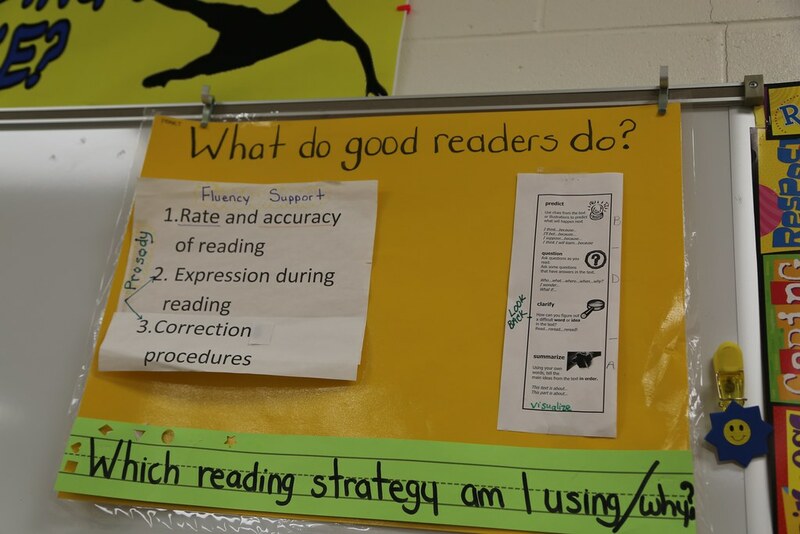 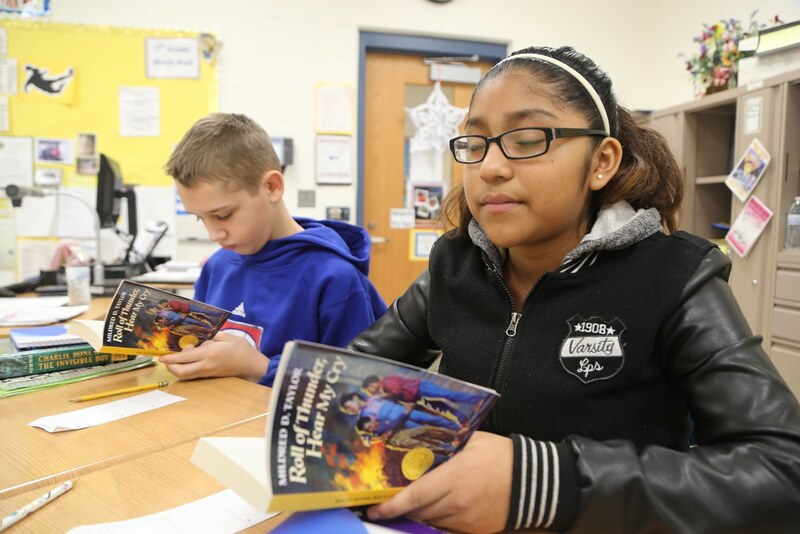 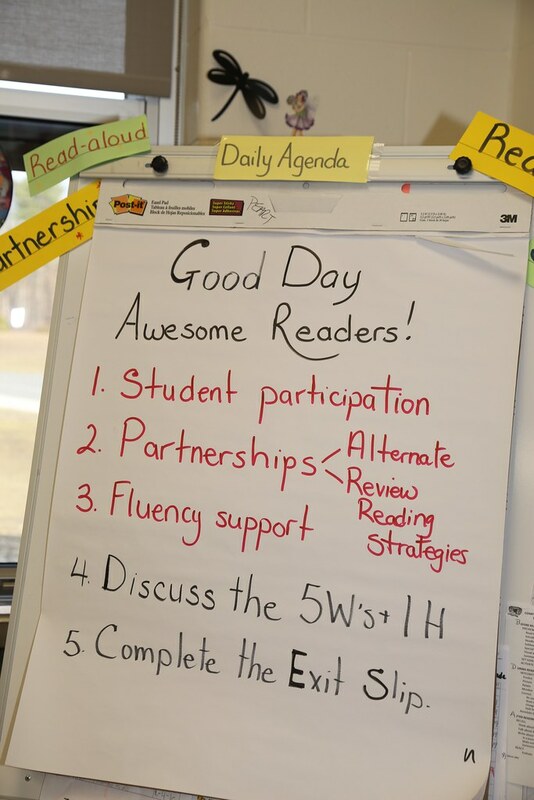 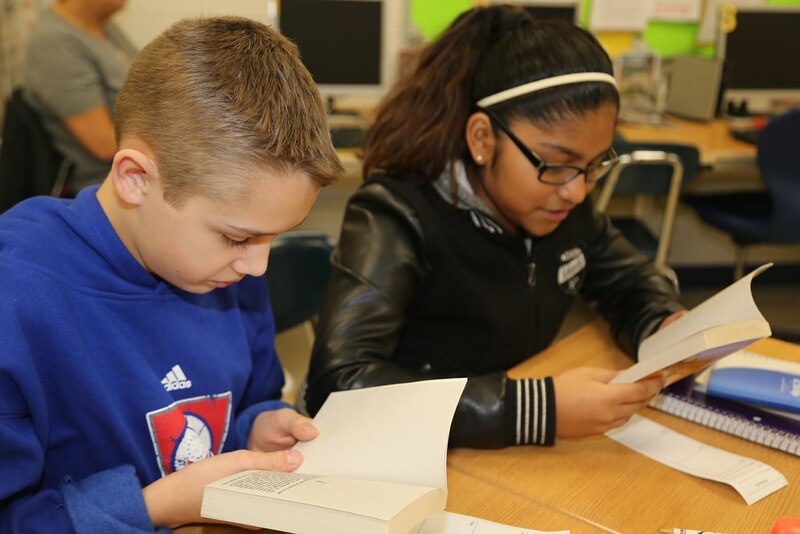 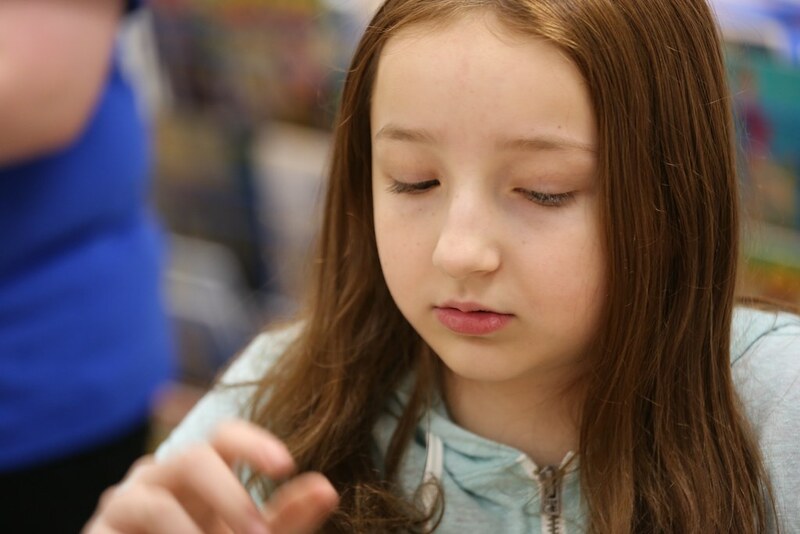 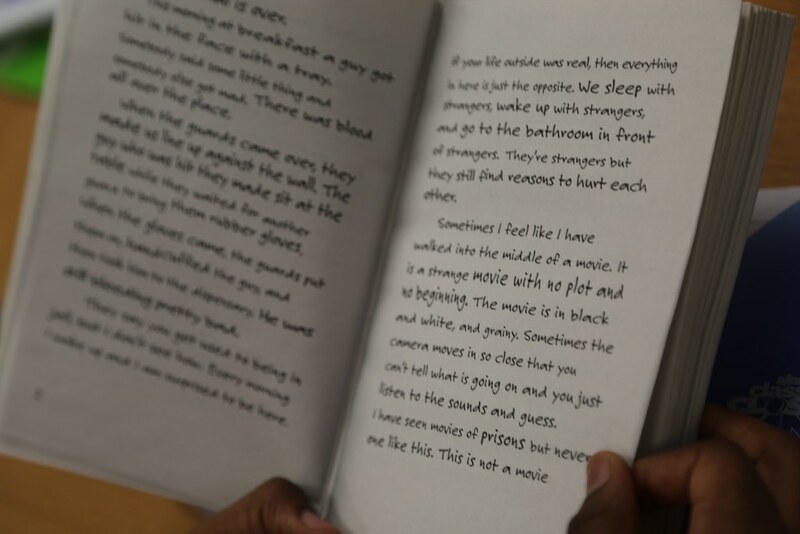 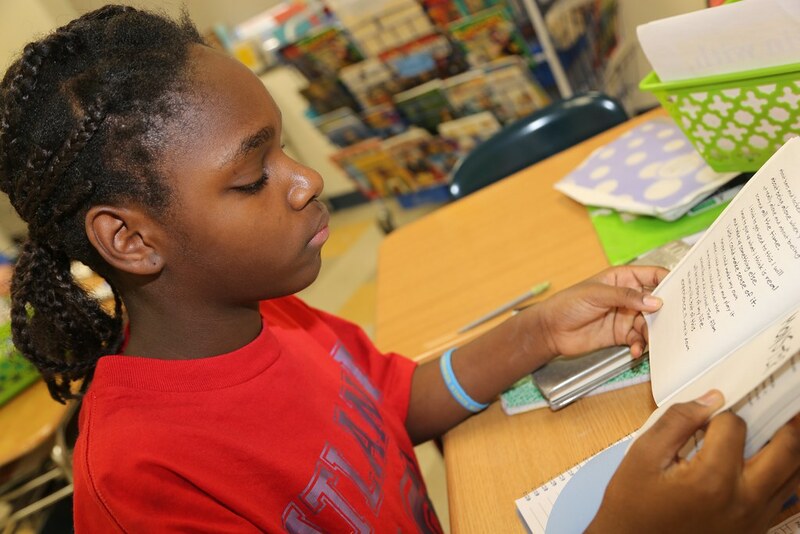 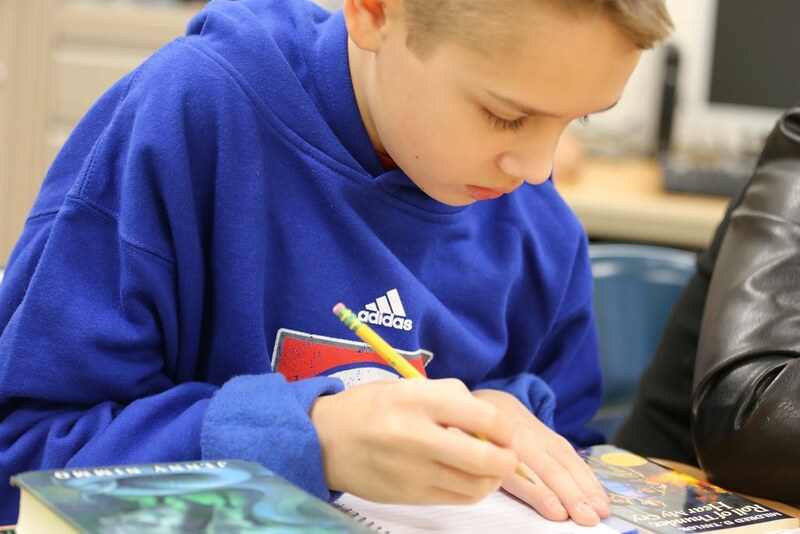 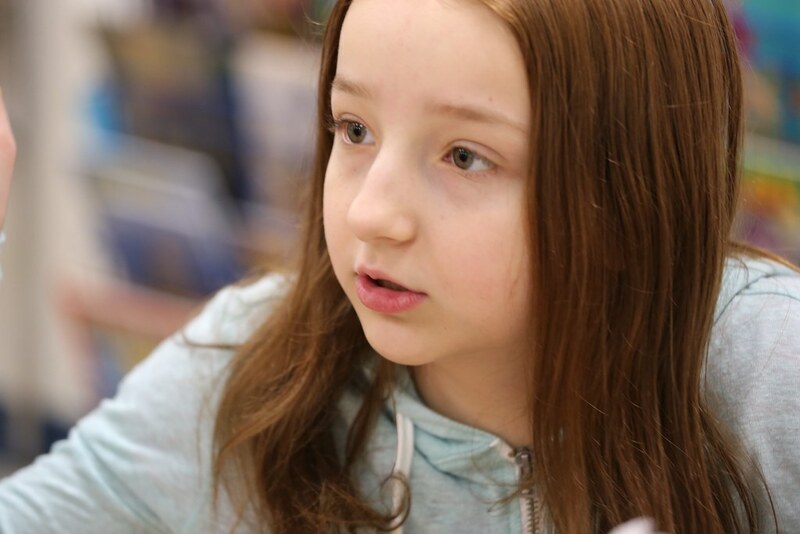 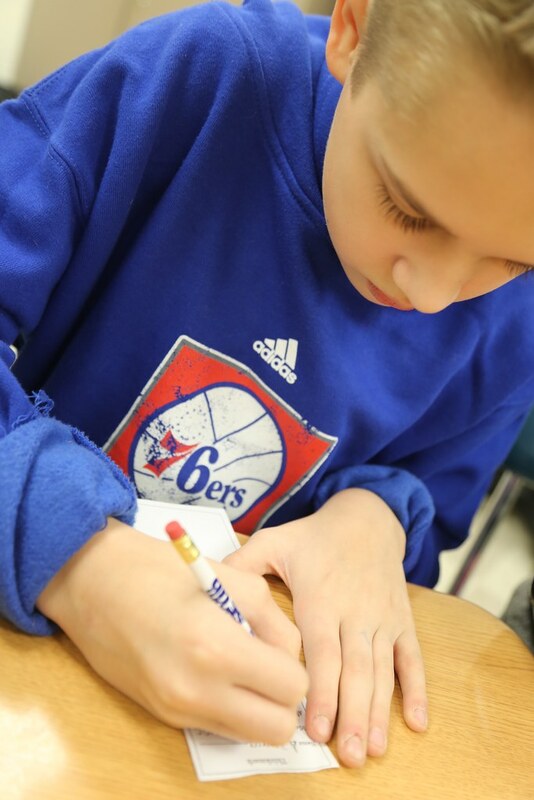 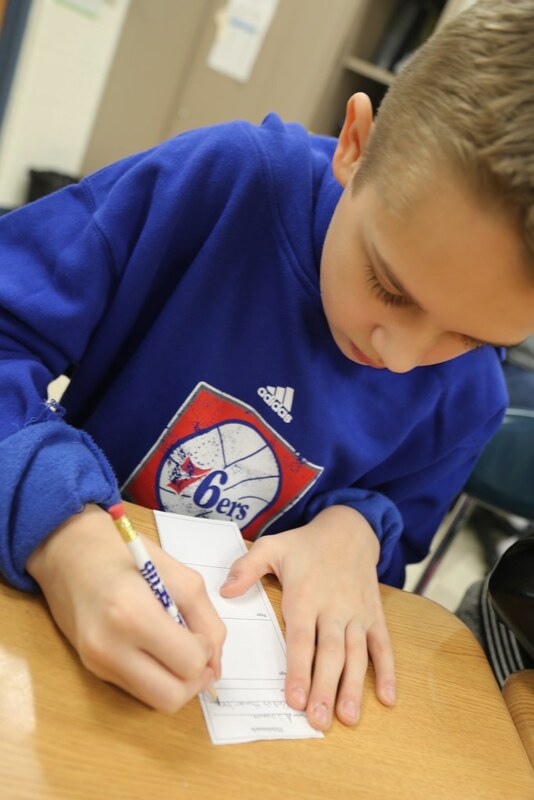 Regular and special education students work together to improve their reading skills.